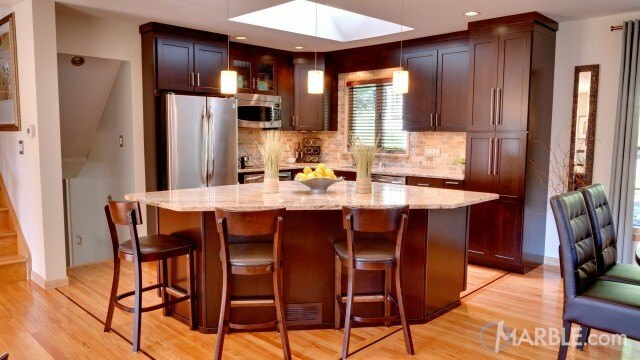 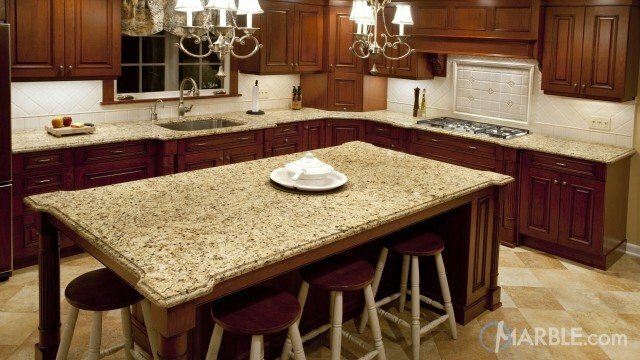 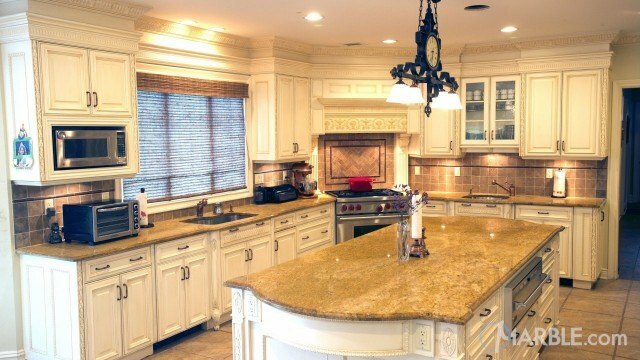 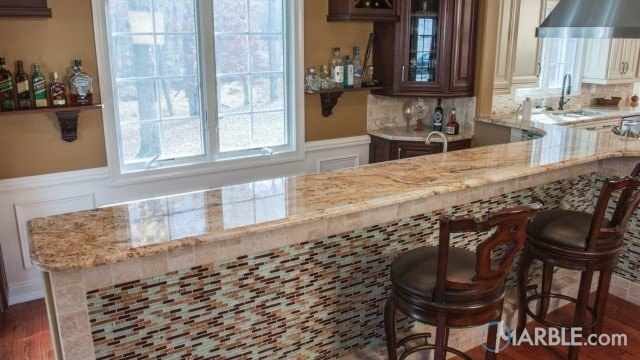 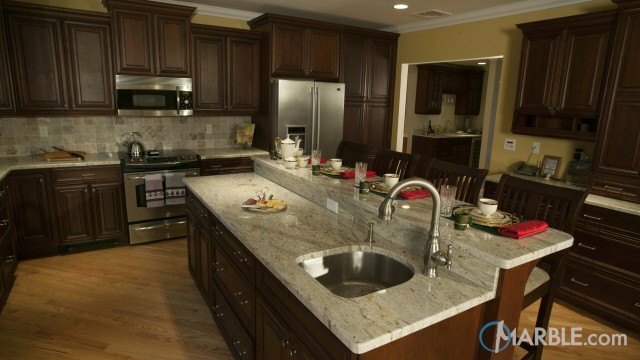 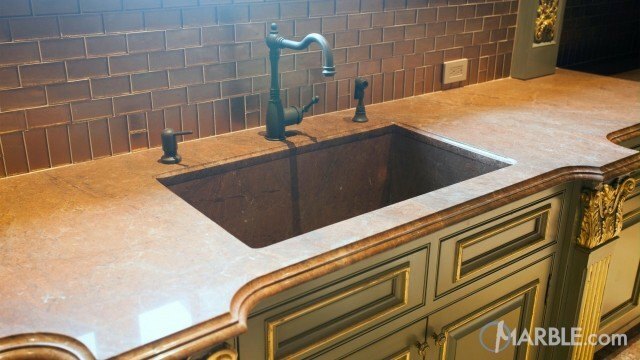 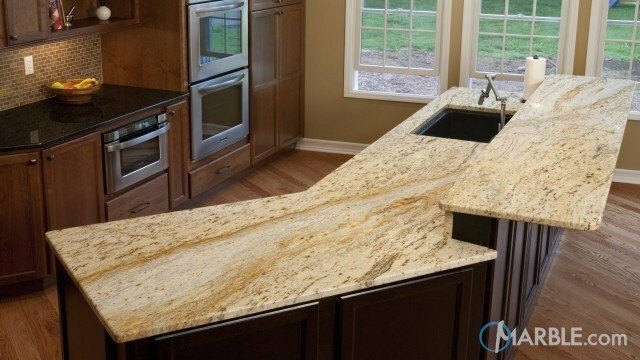 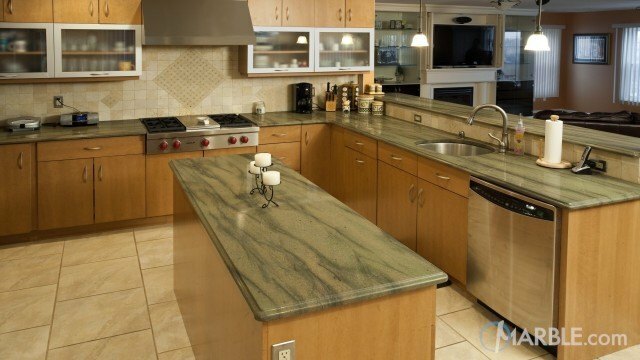 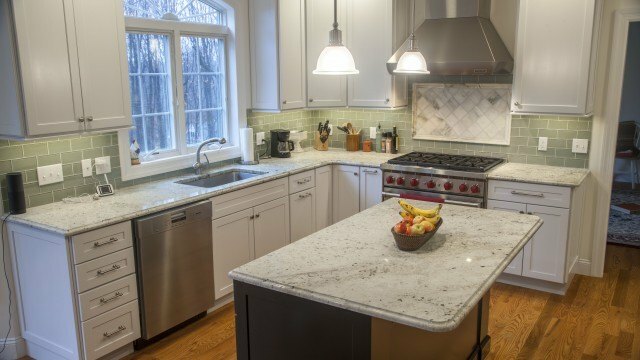 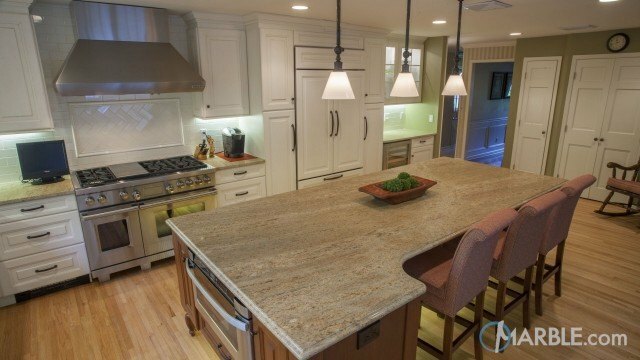 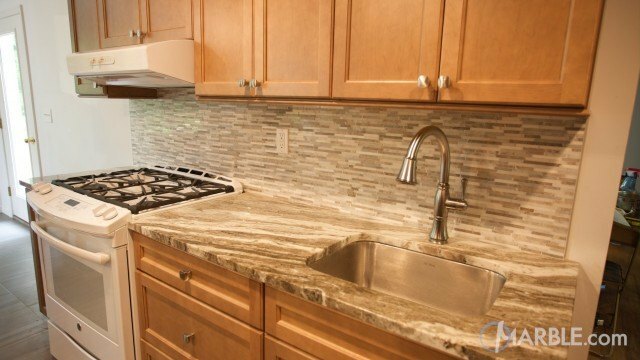 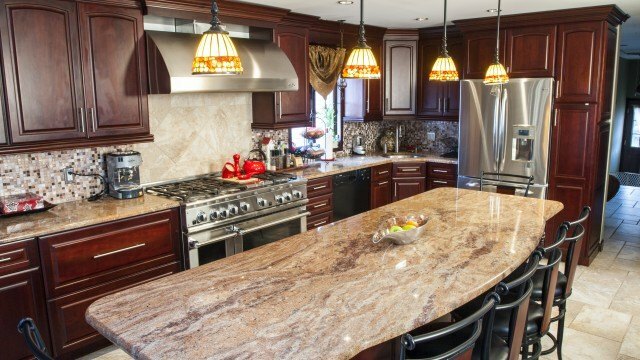 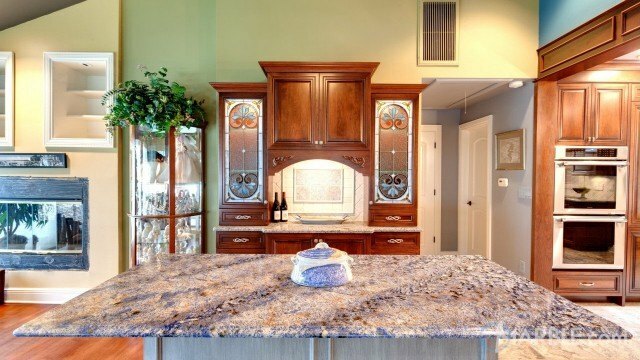 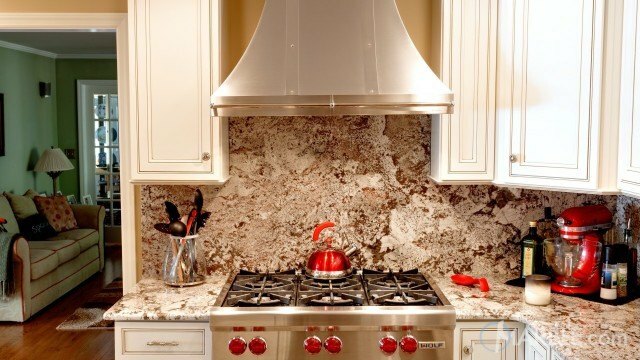 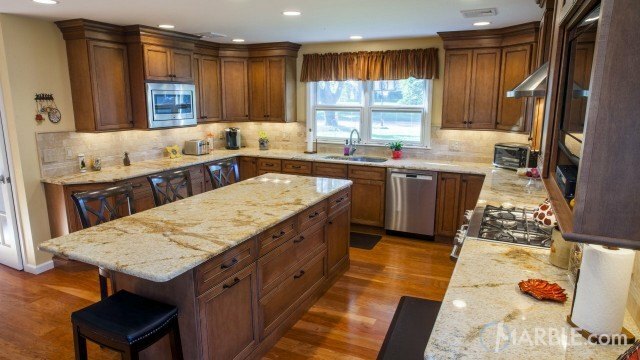 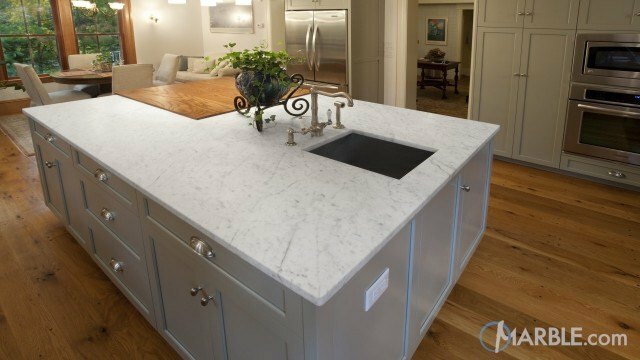 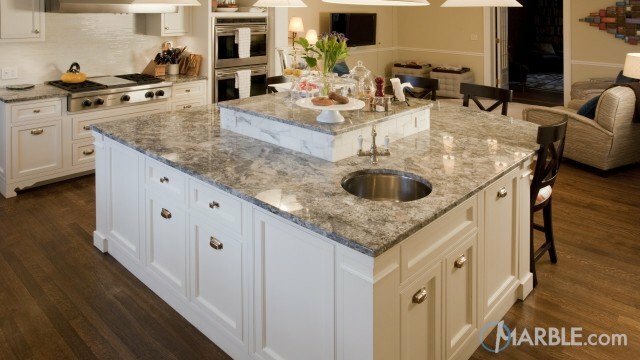 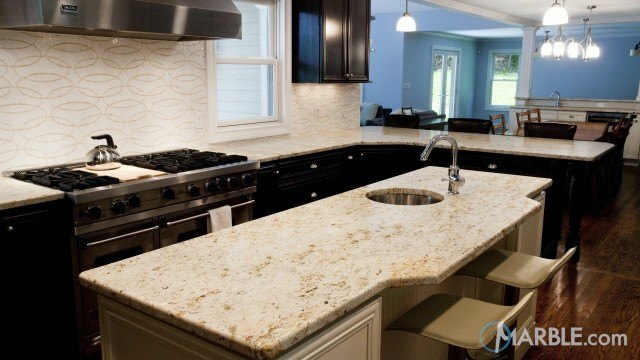 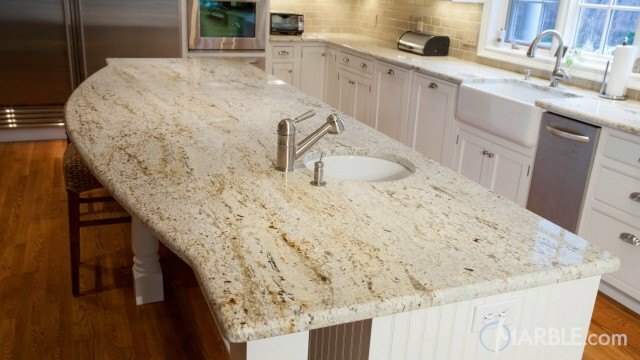 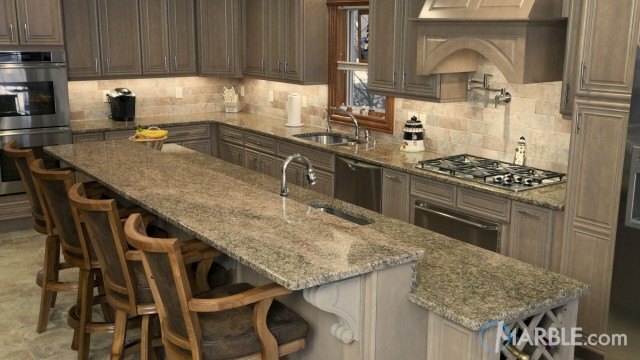 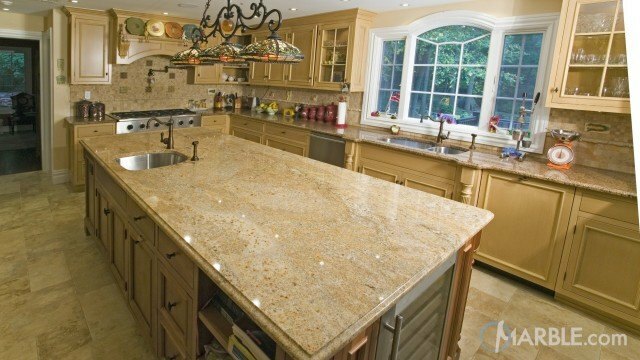 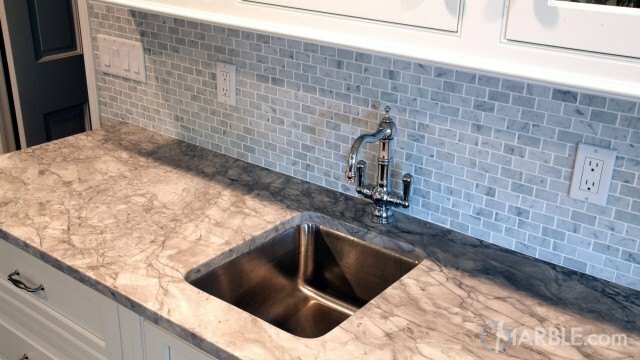 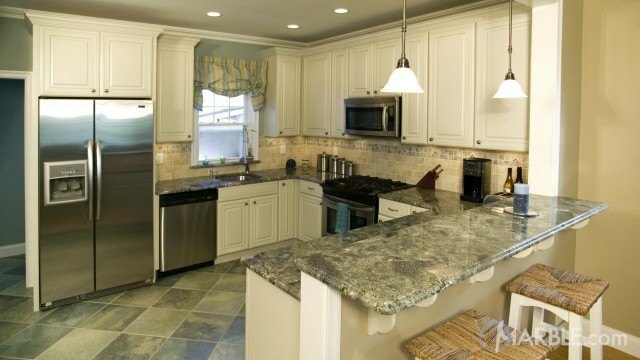 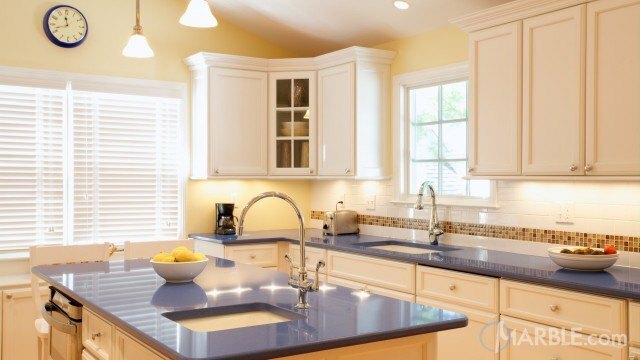 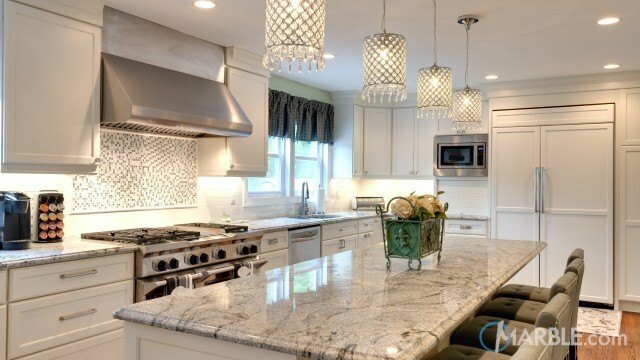 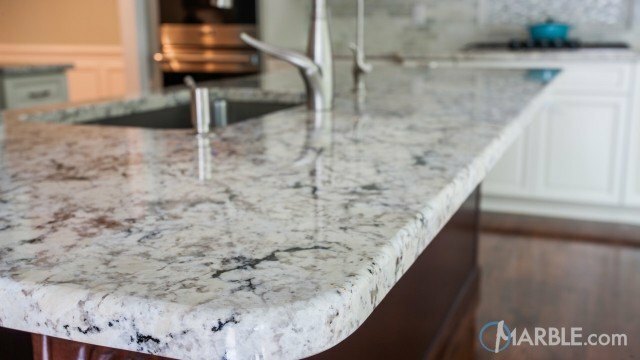 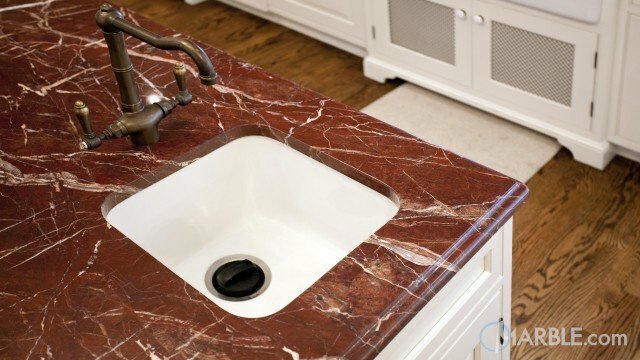 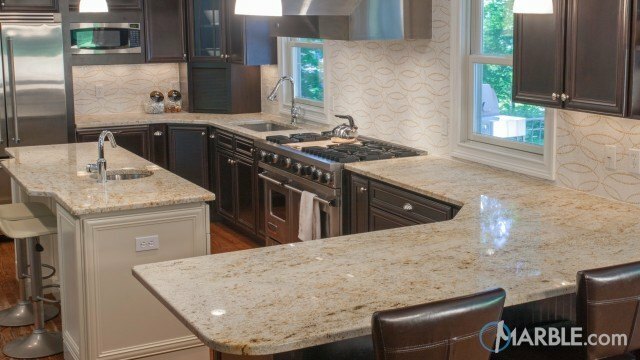 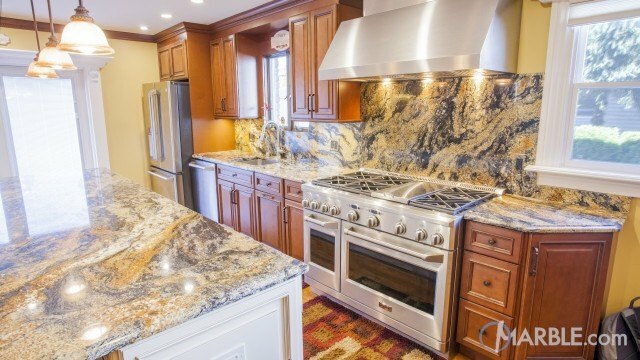 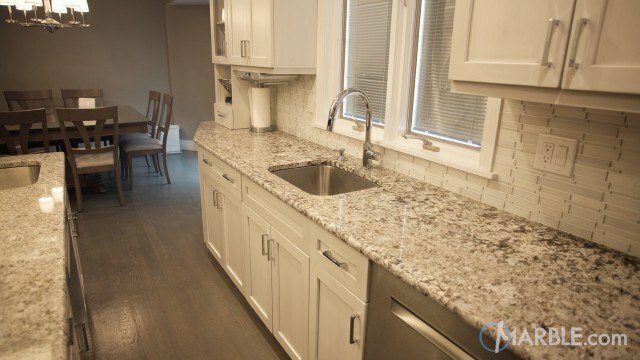 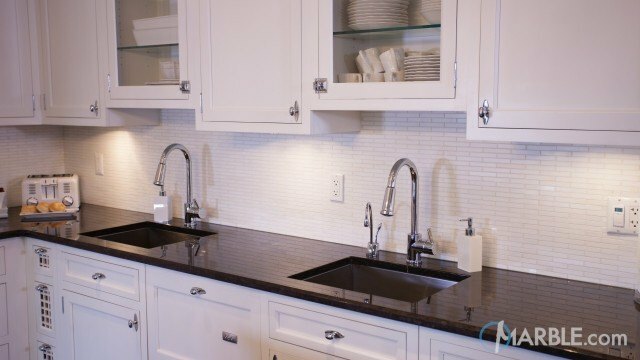 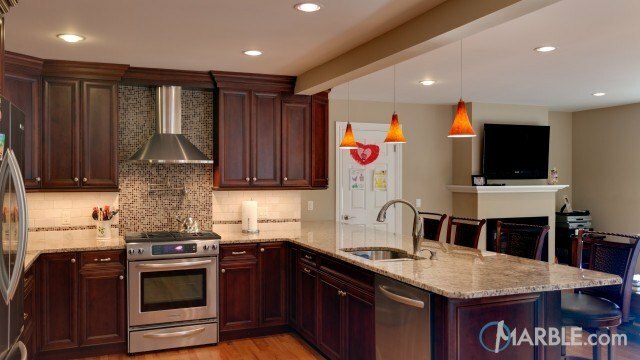 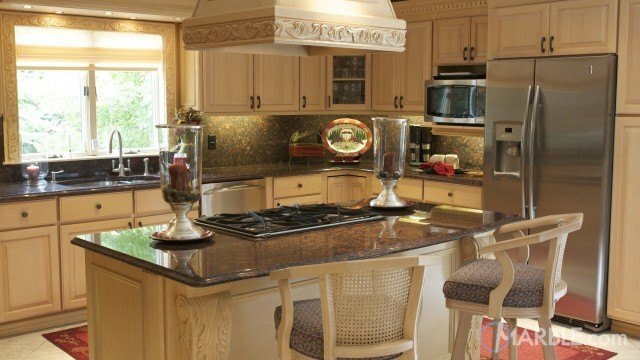 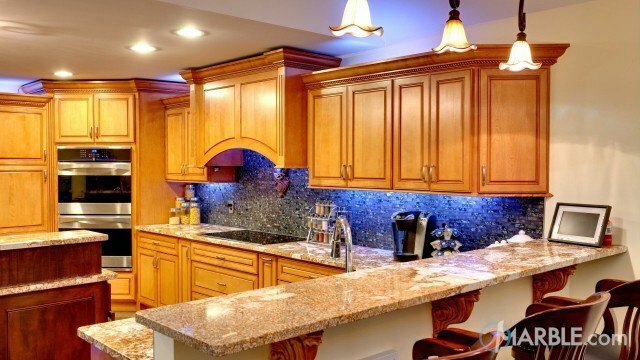 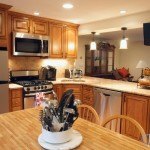 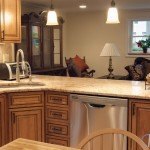 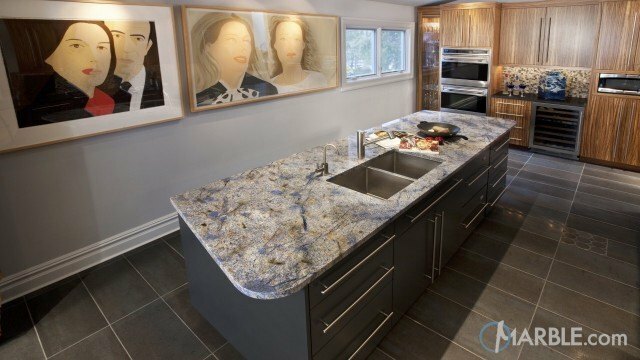 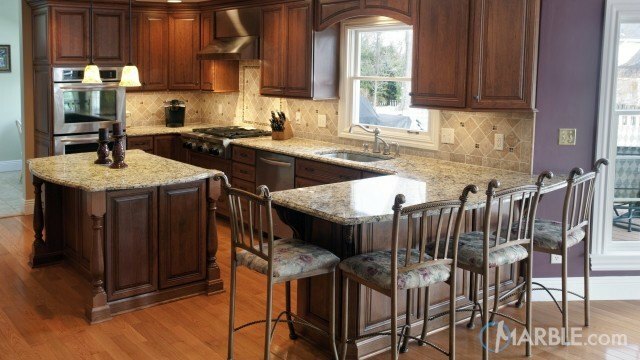 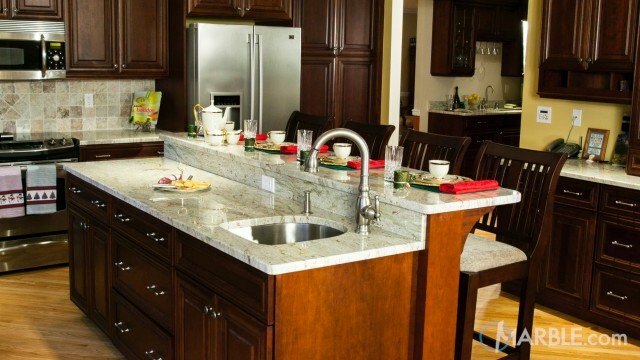 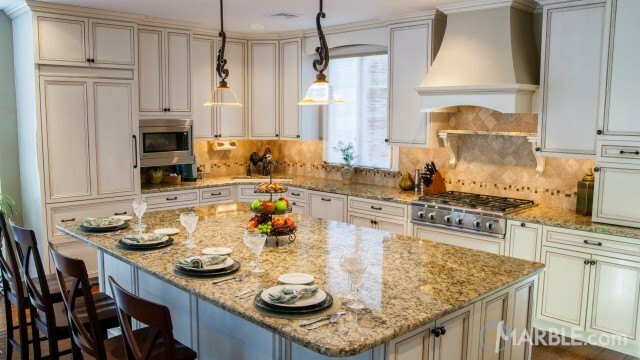 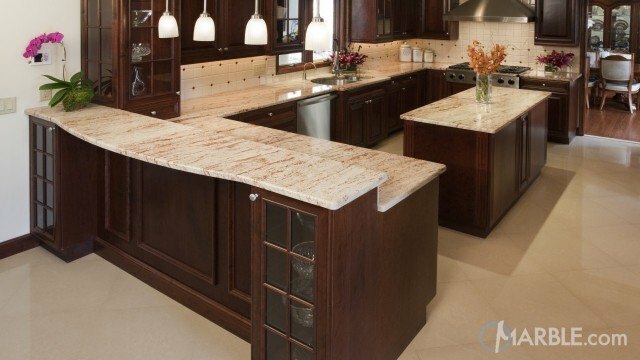 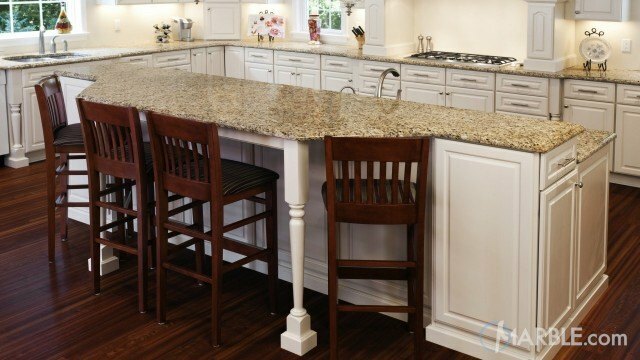 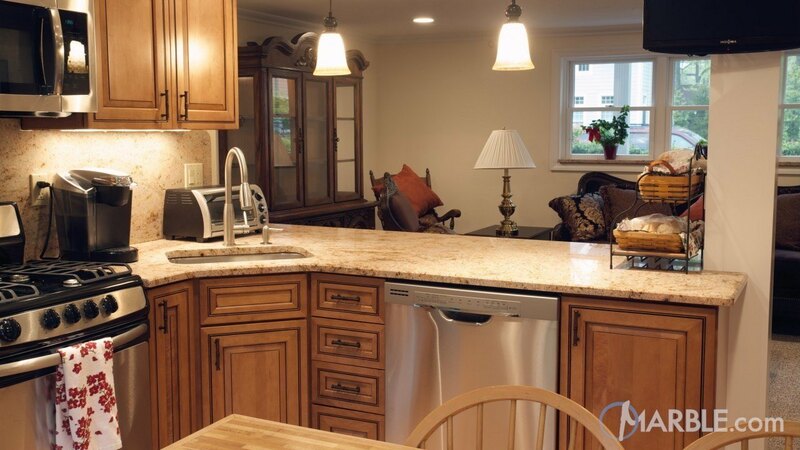 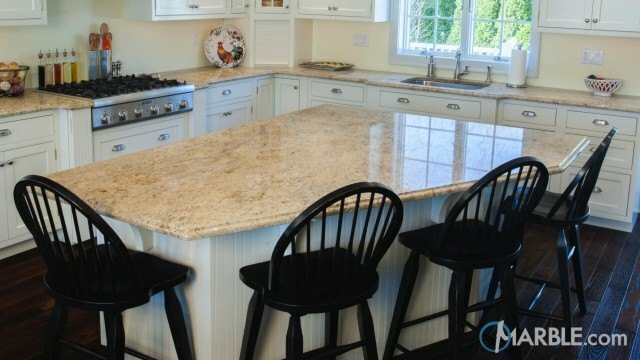 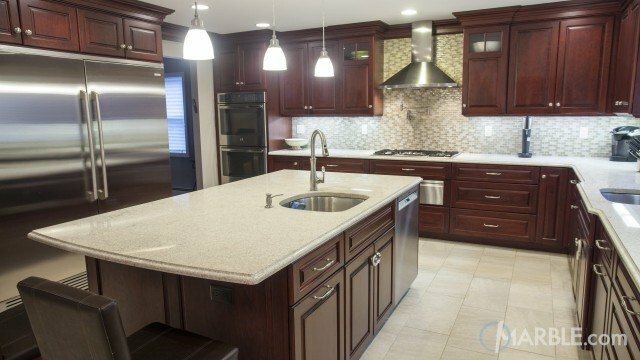 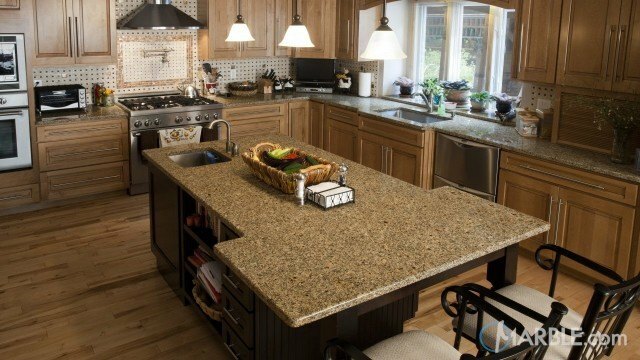 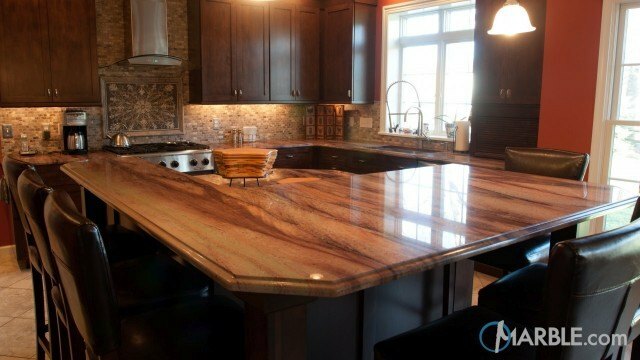 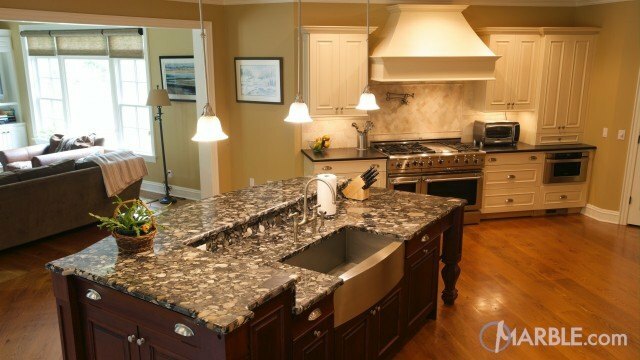 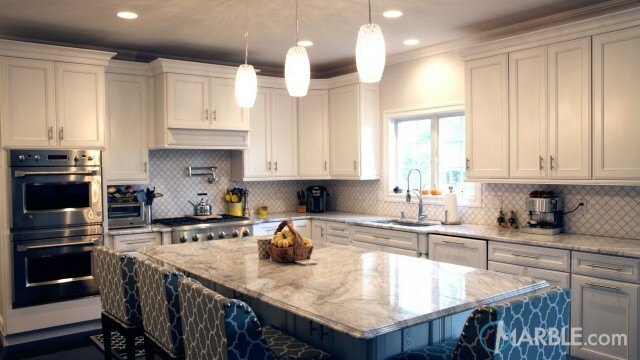 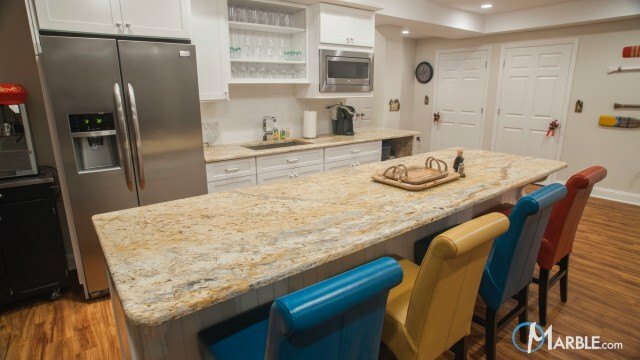 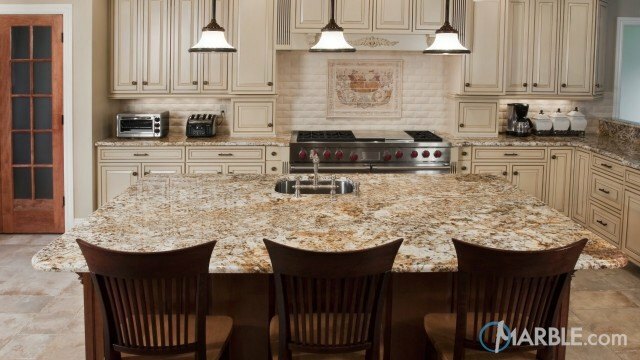 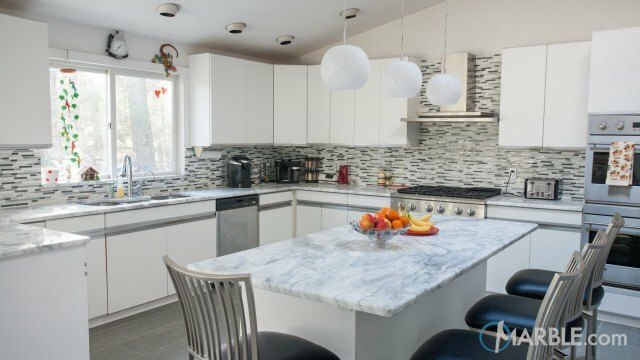 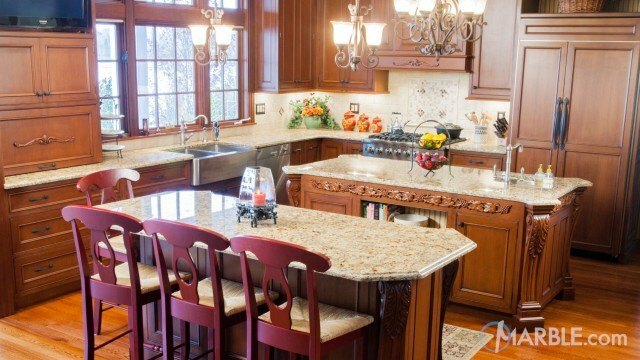 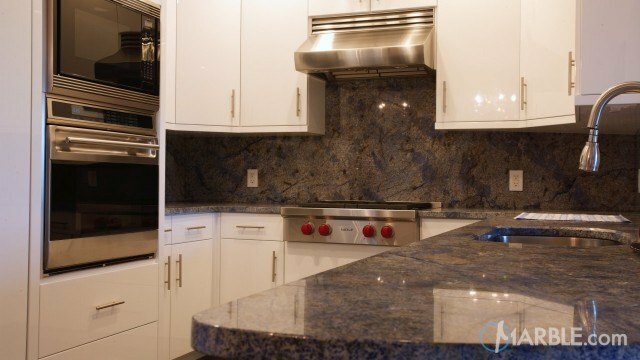 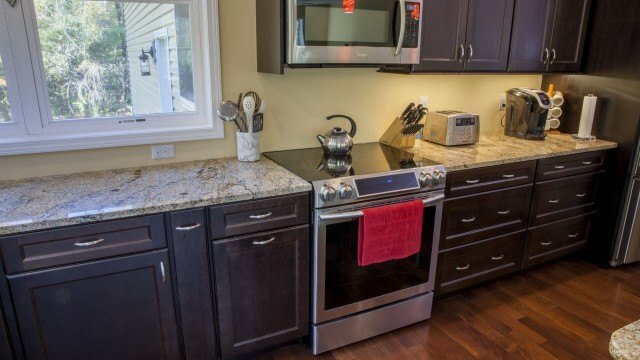 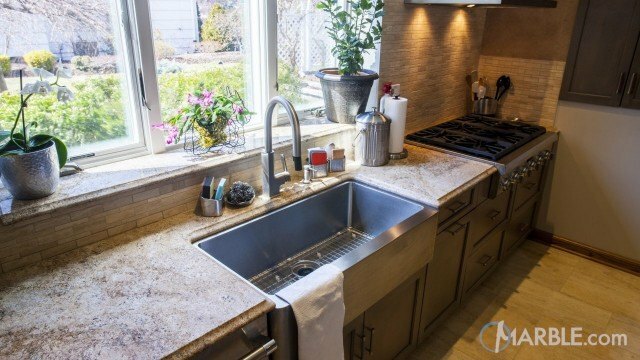 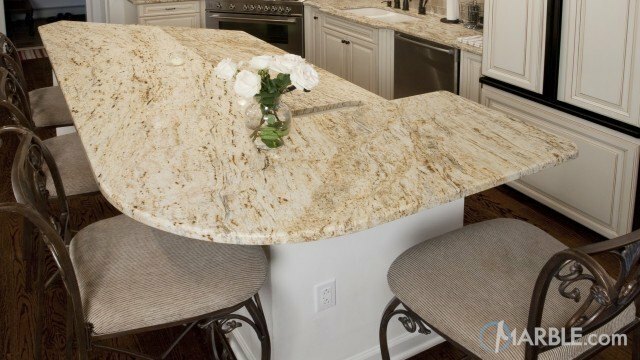 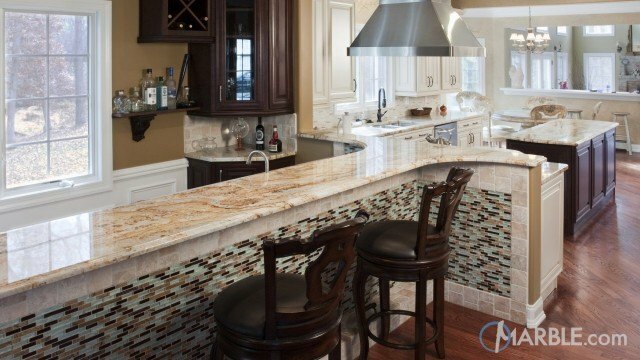 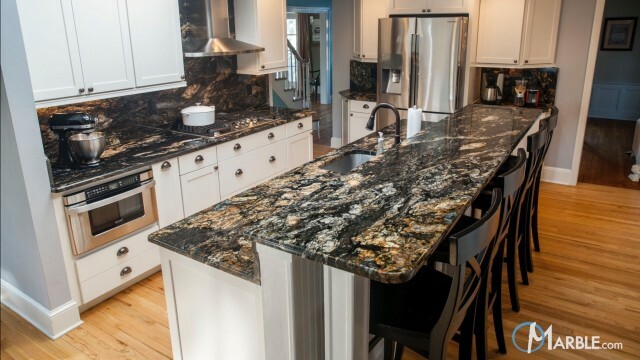 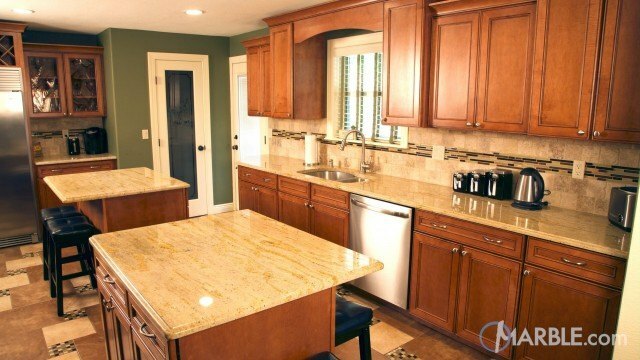 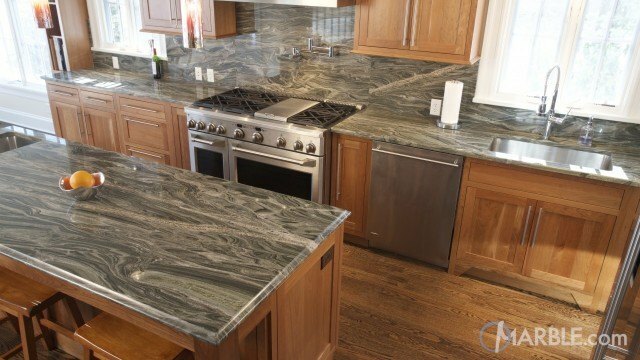 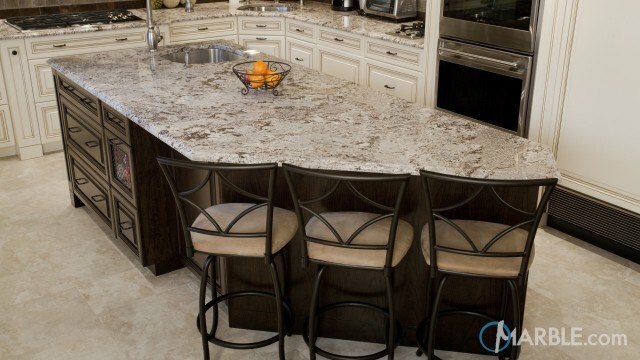 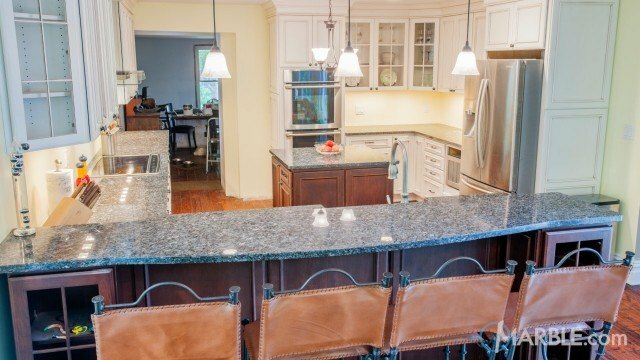 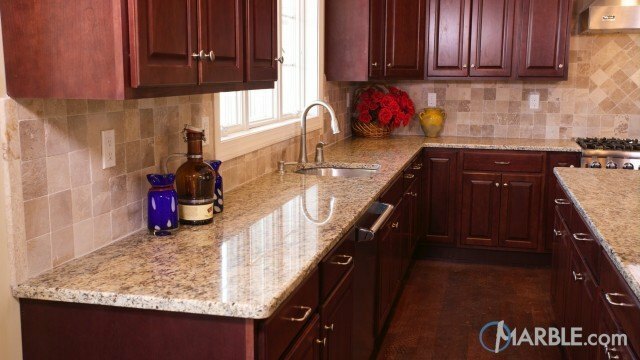 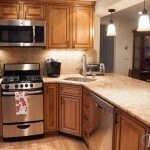 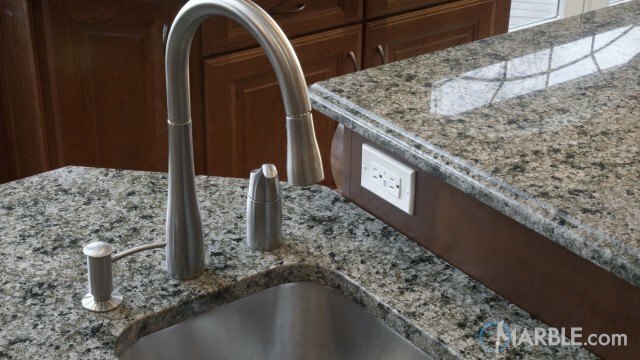 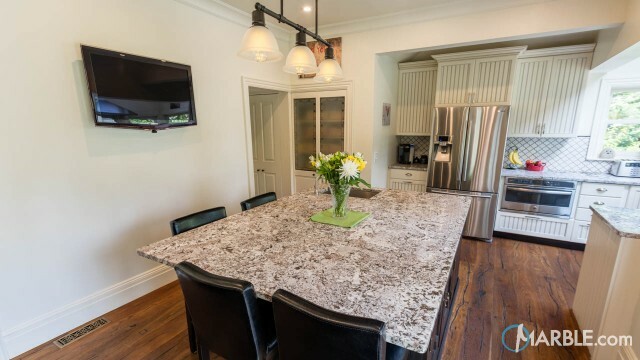 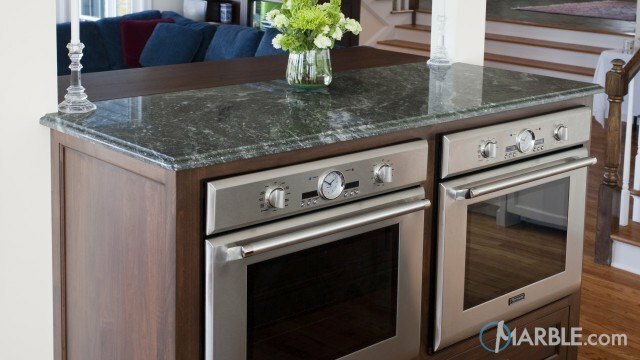 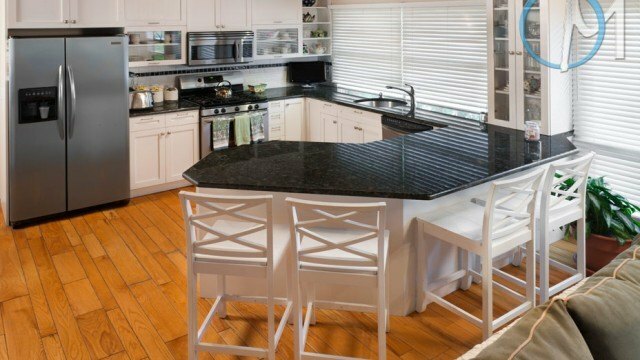 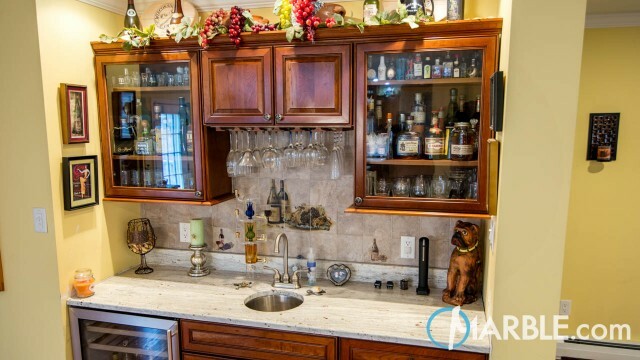 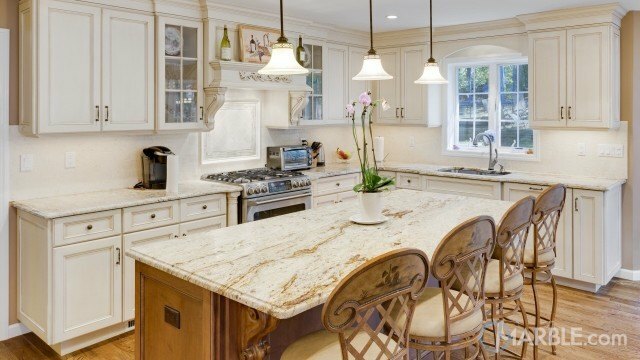 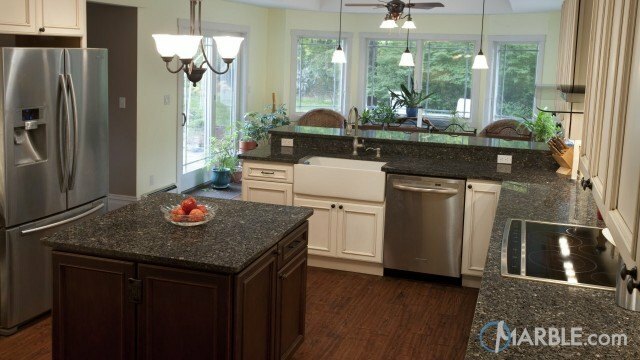 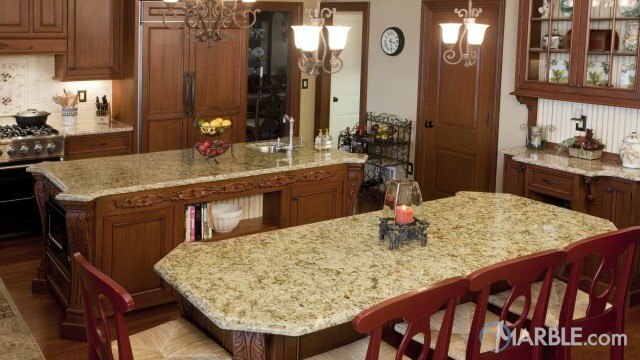 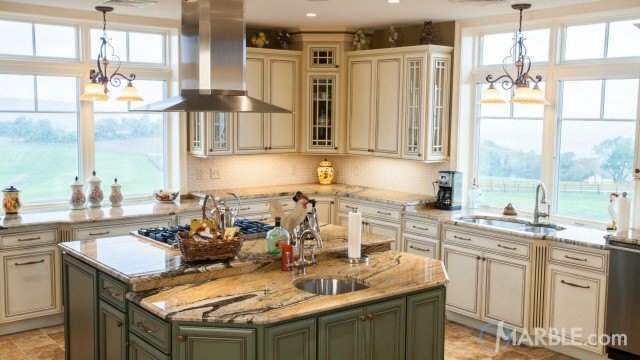 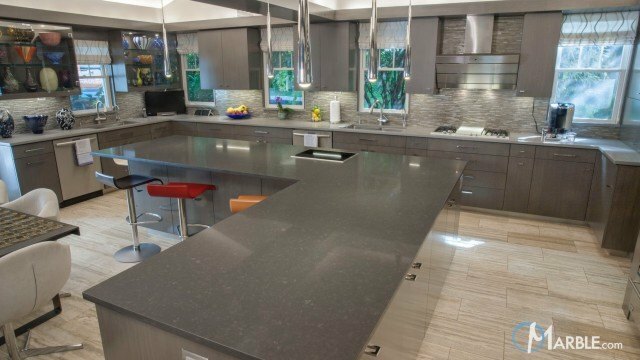 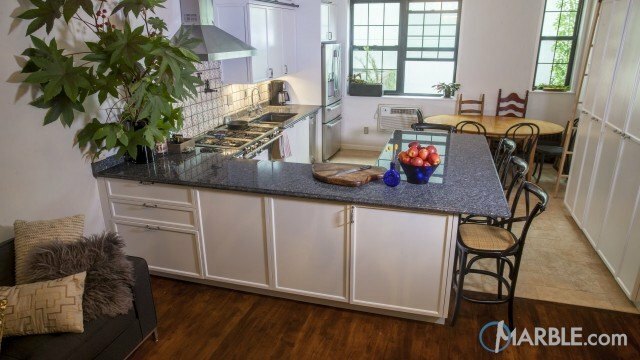 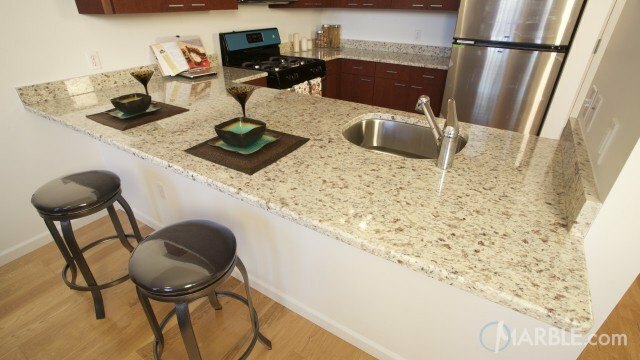 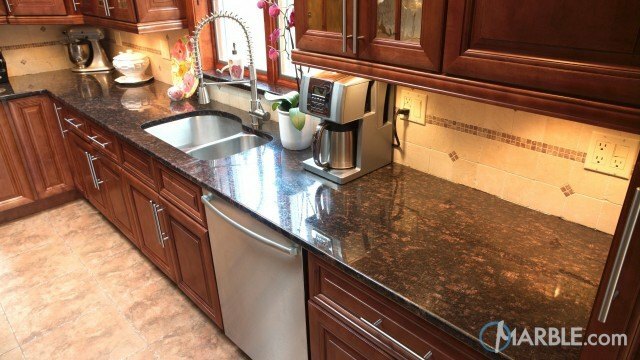 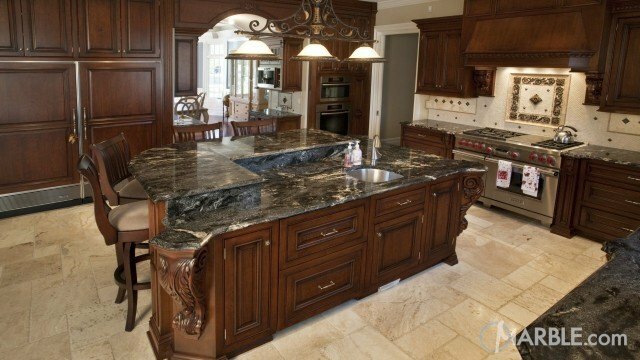 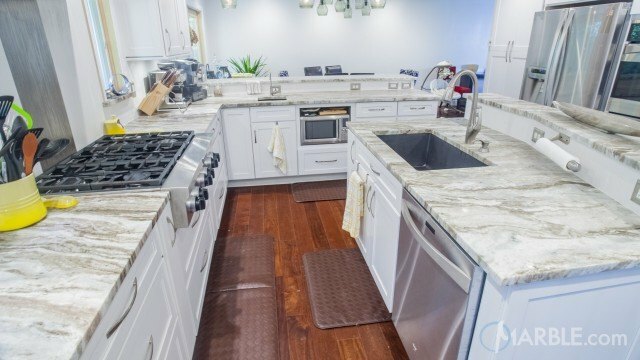 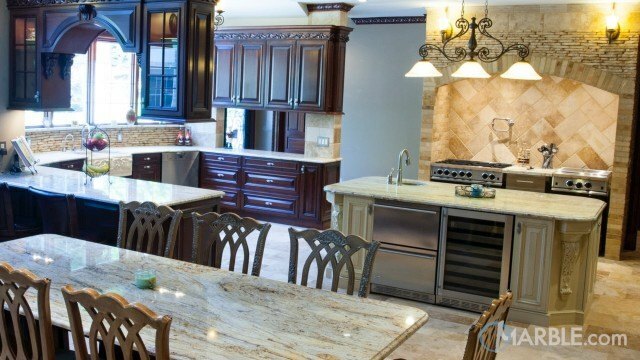 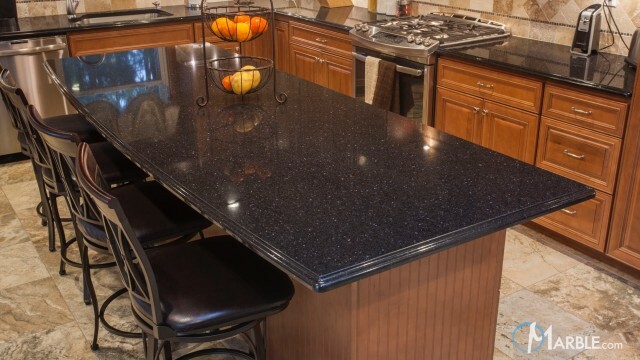 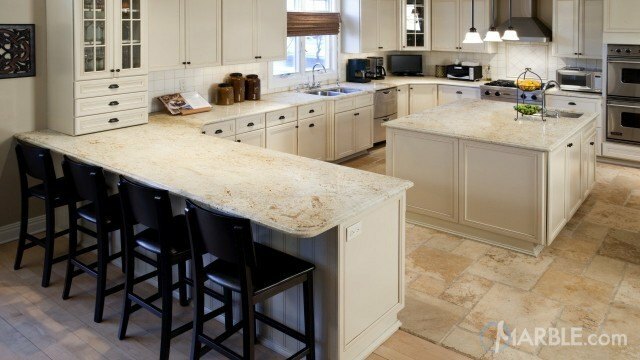 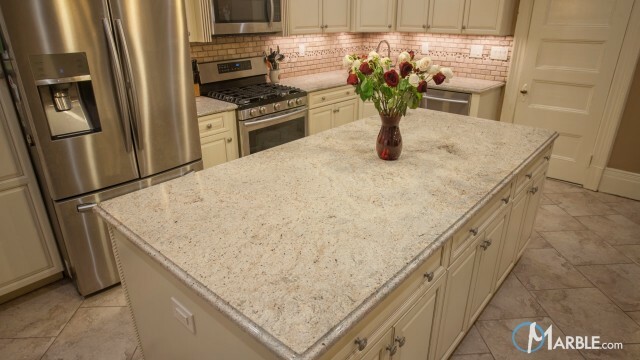 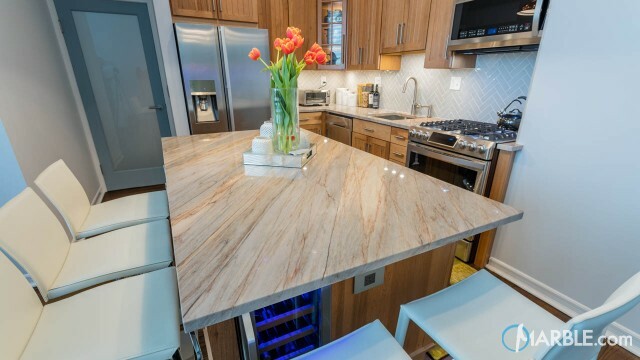 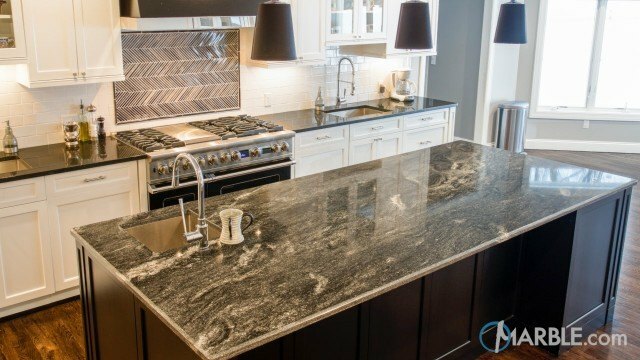 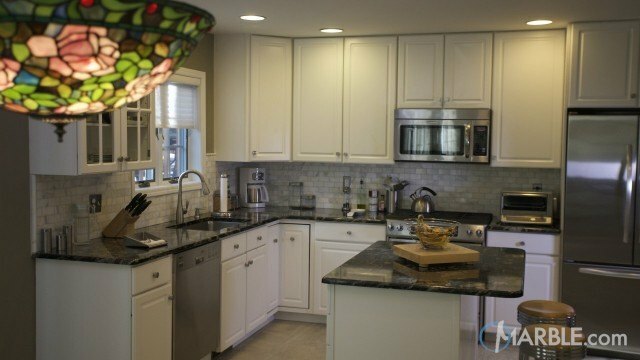 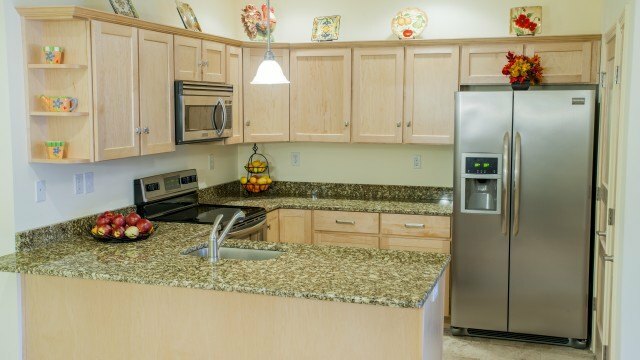 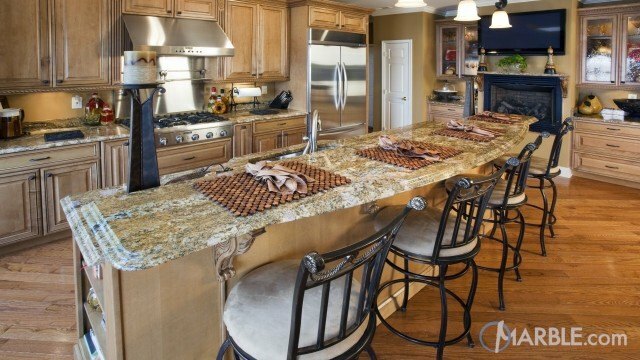 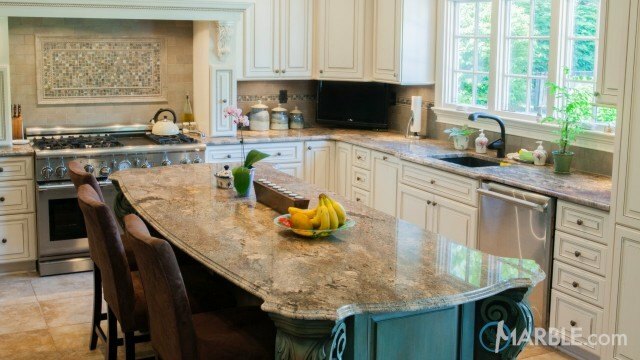 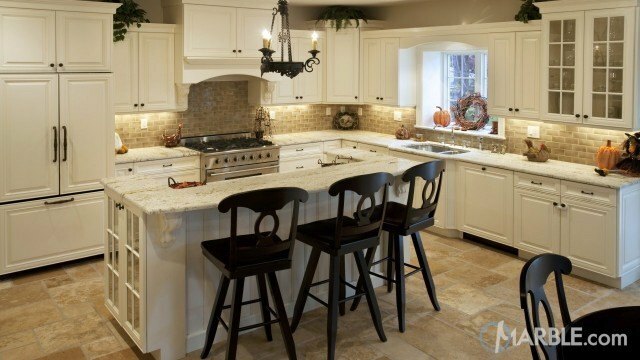 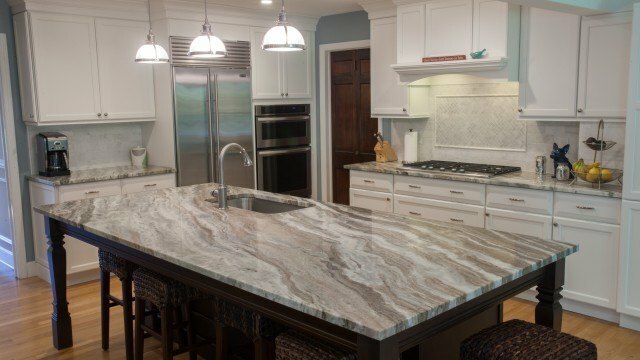 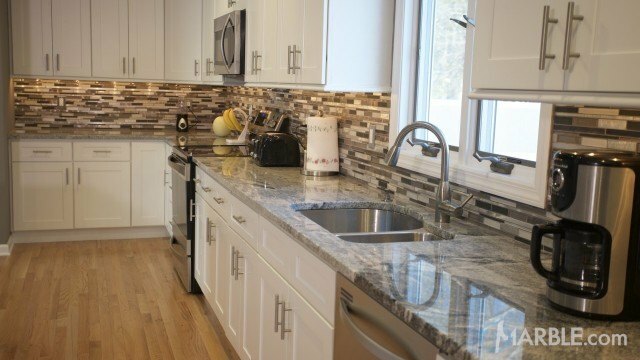 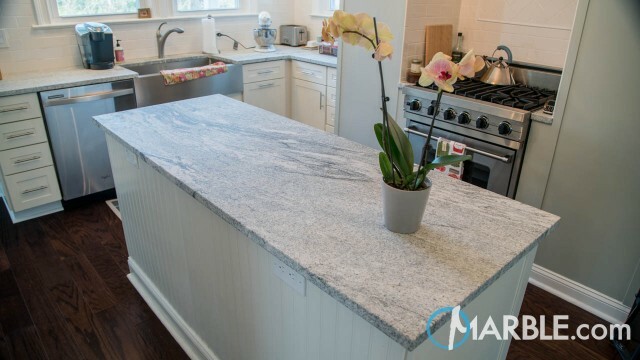 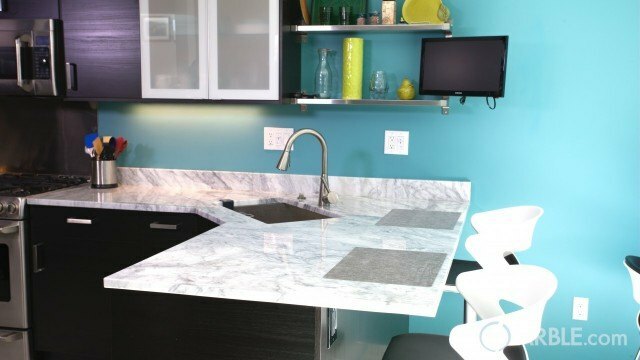 Astoria Granite Kitchen Countertop Design Ideas and Gallery. 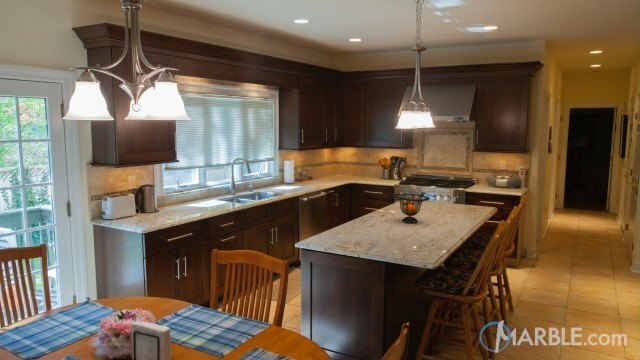 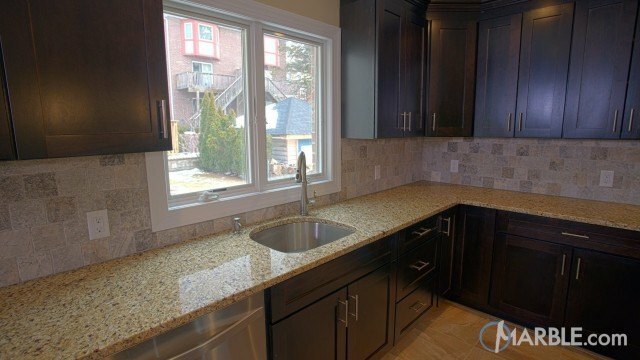 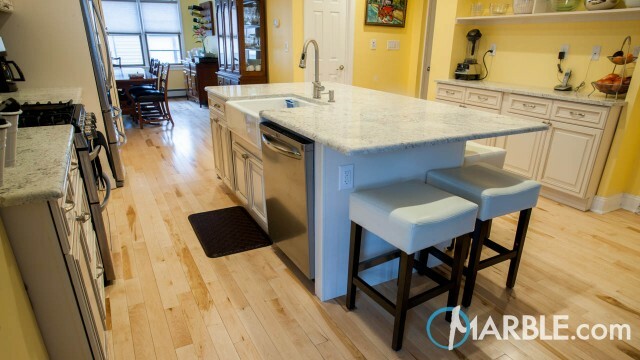 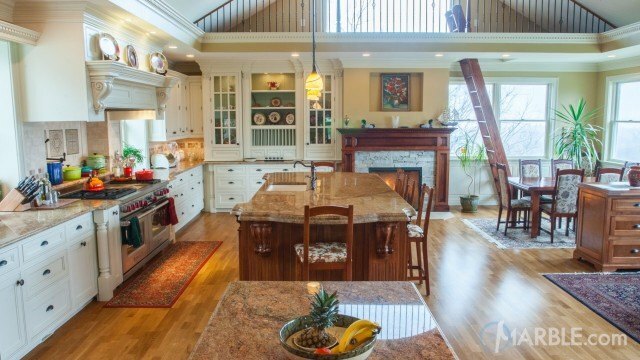 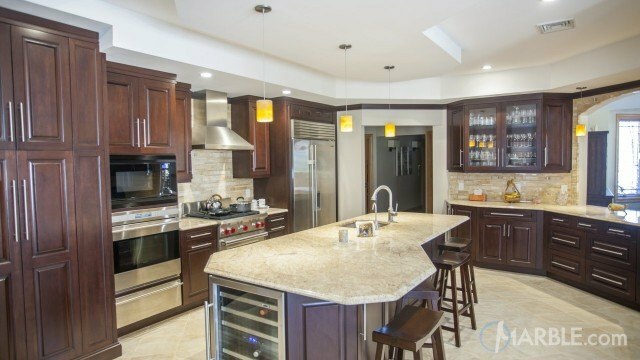 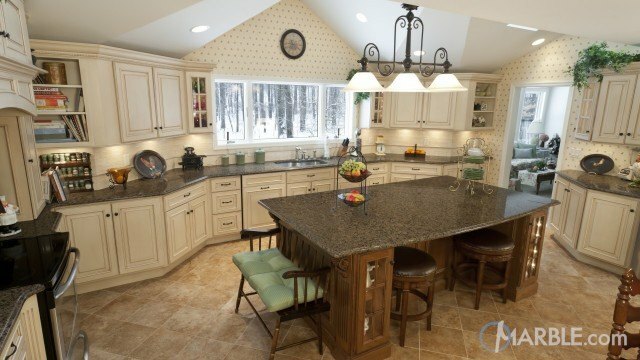 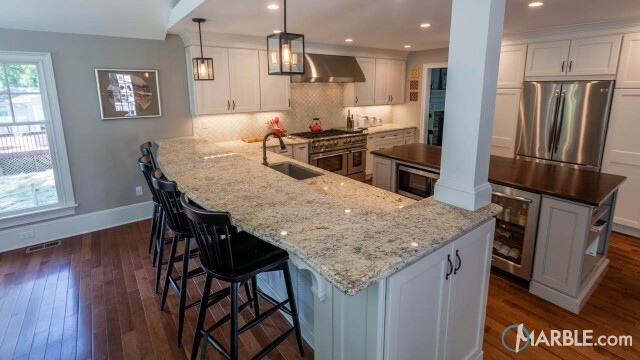 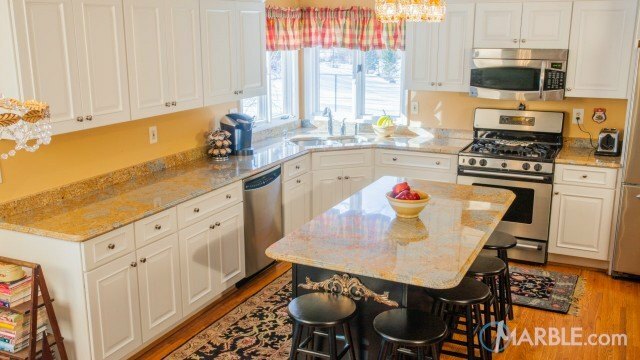 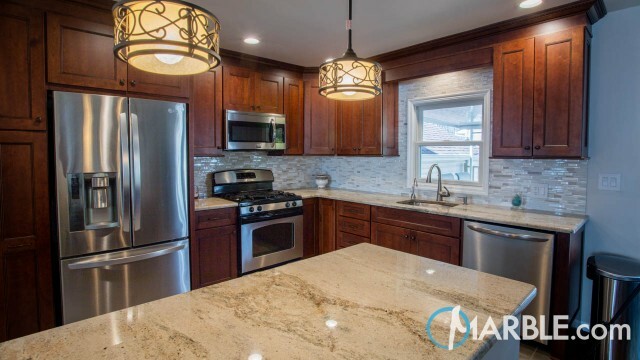 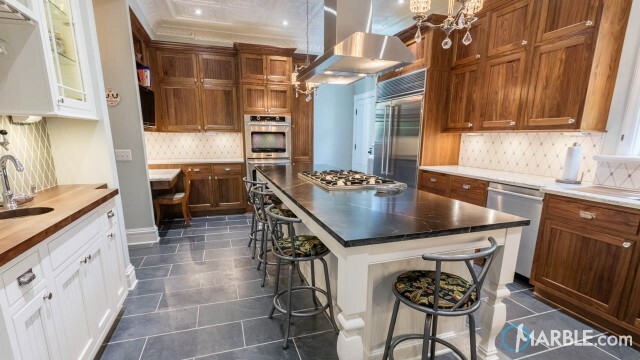 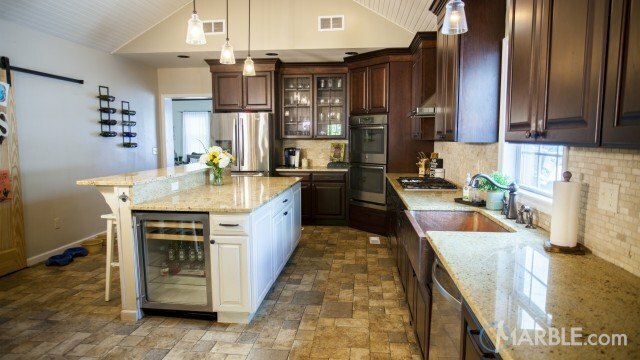 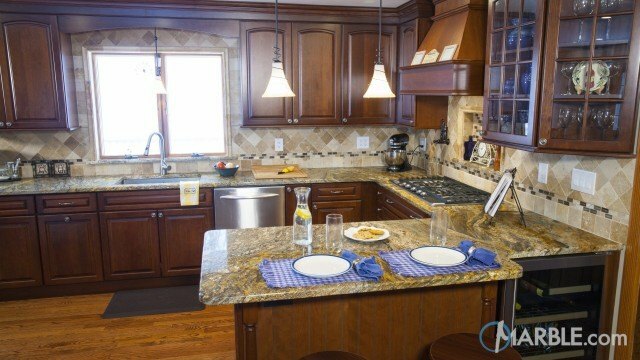 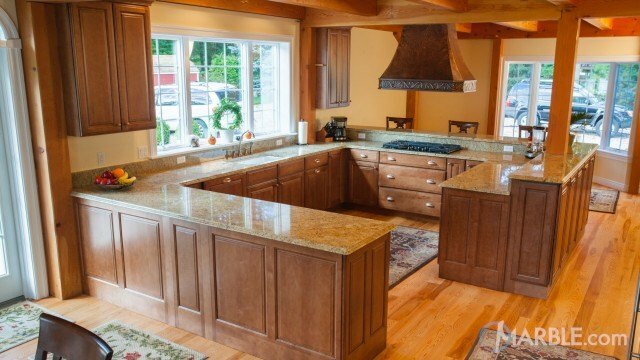 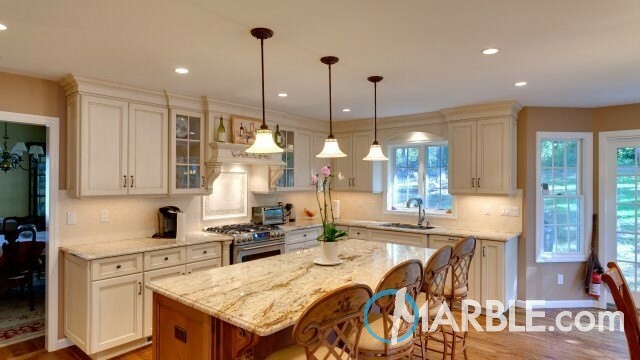 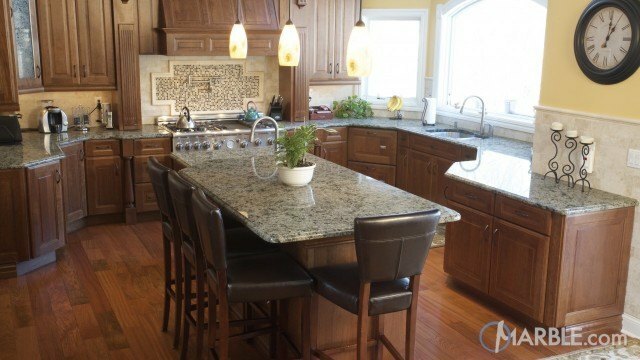 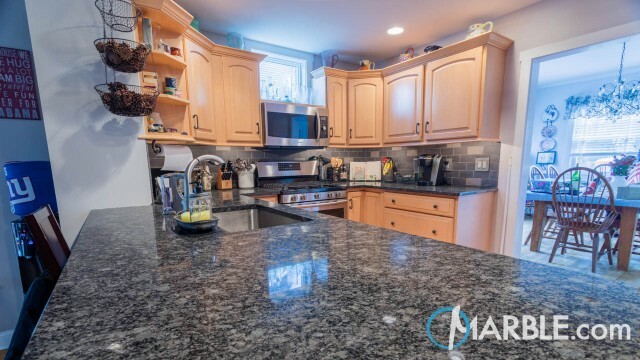 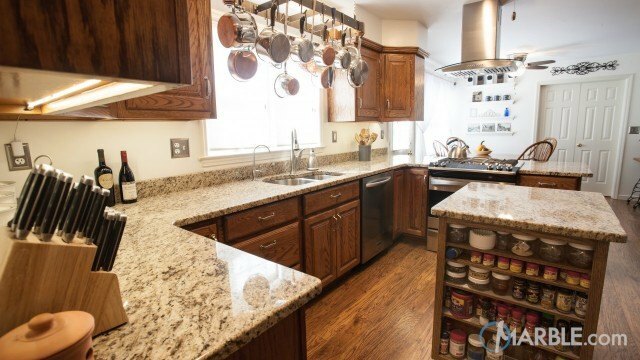 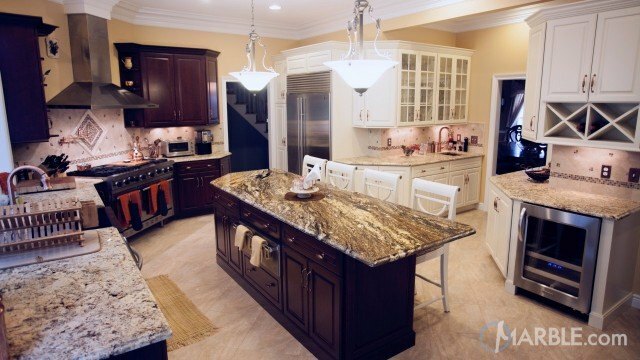 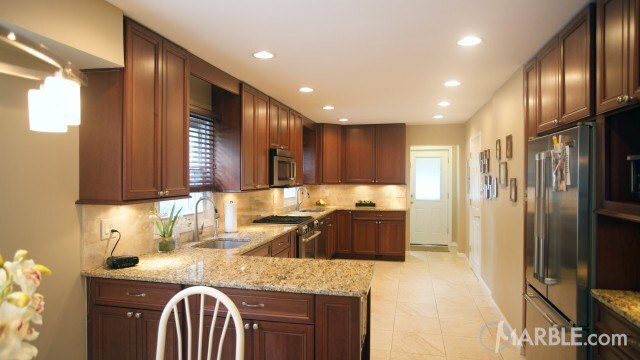 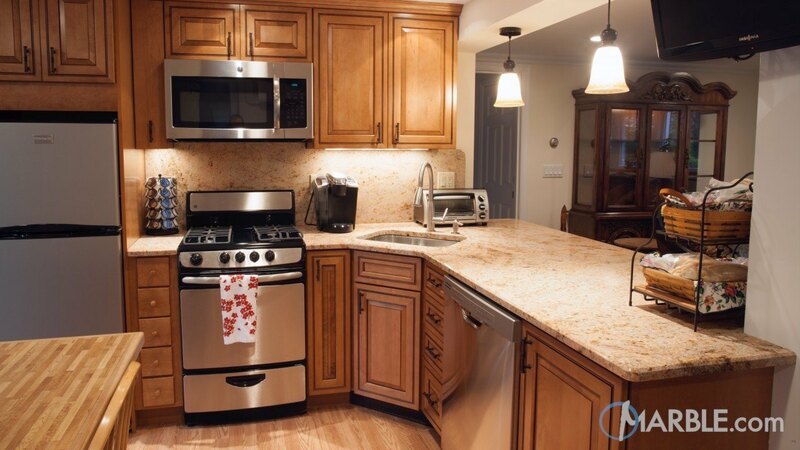 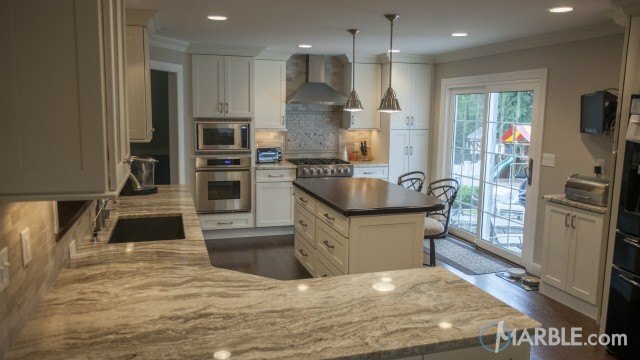 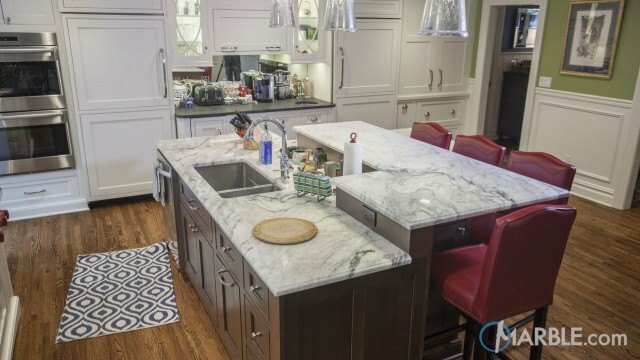 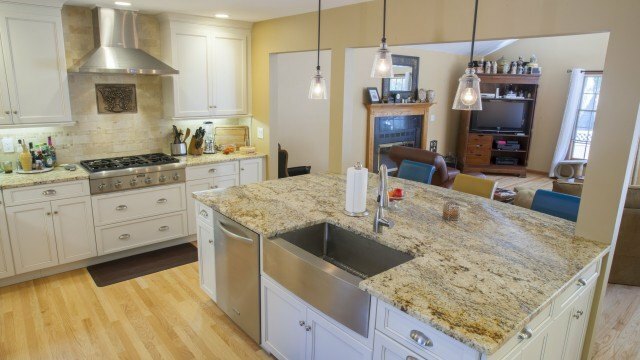 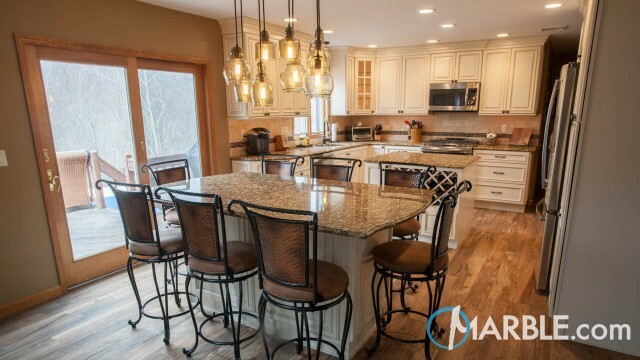 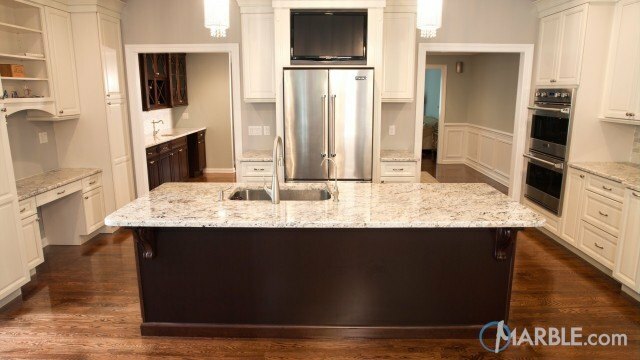 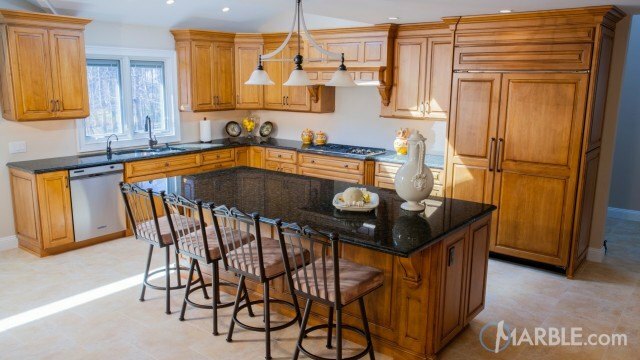 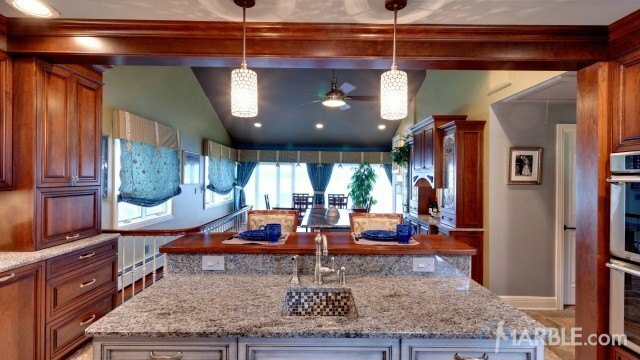 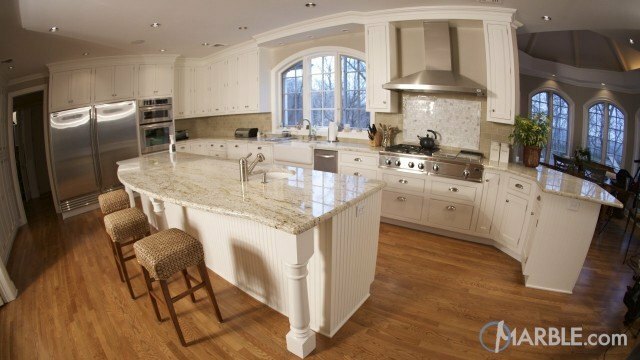 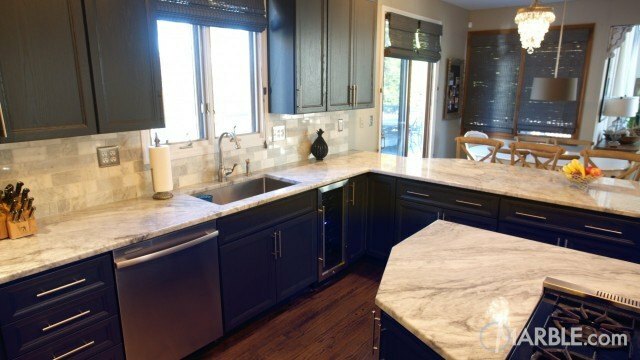 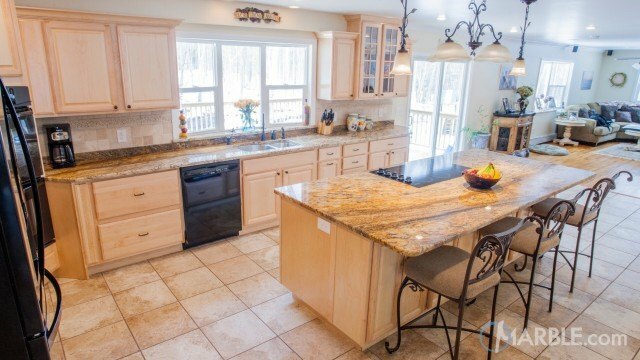 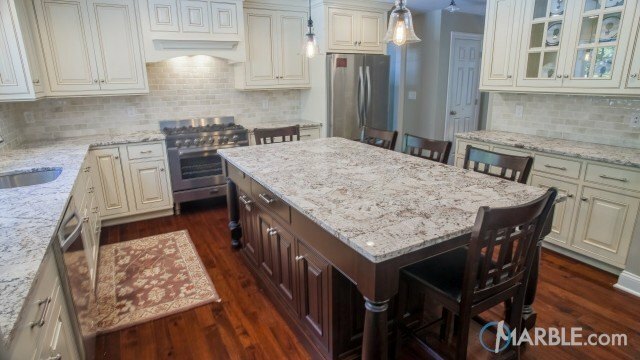 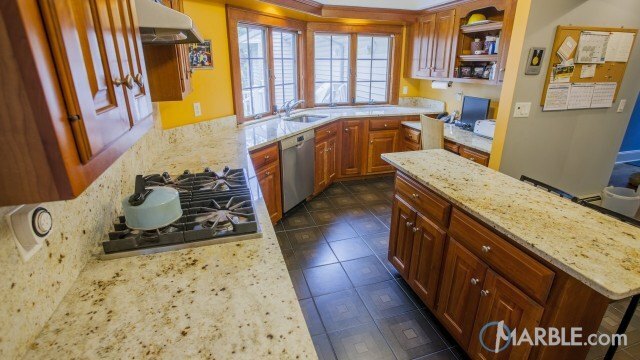 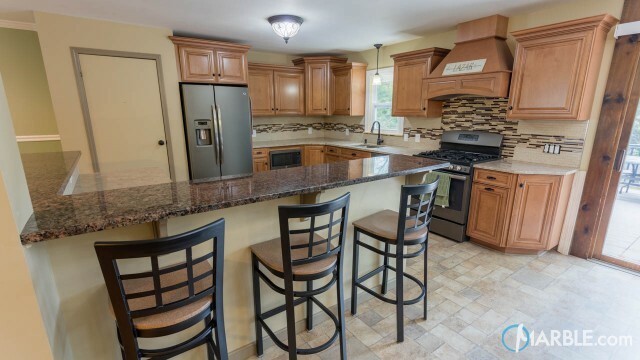 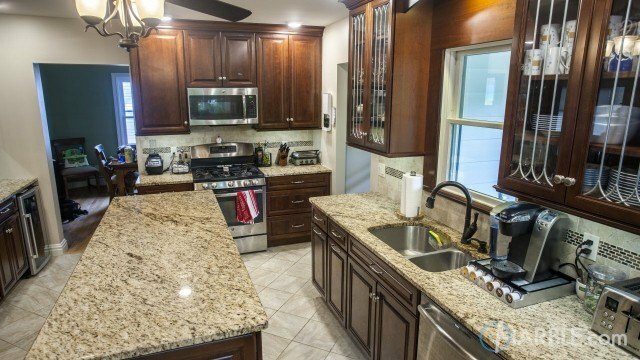 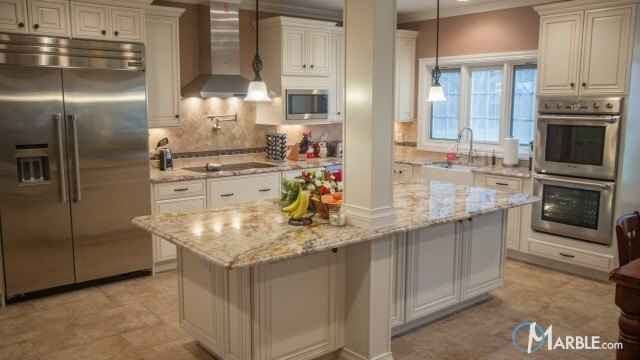 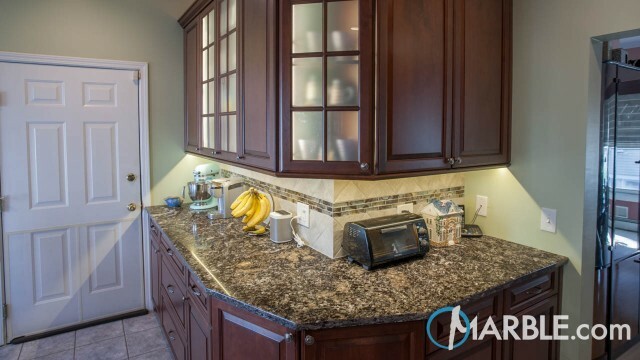 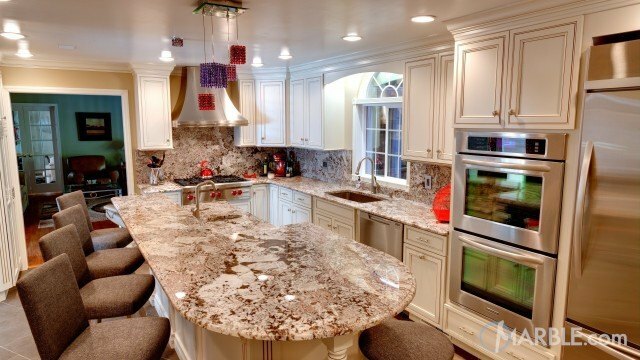 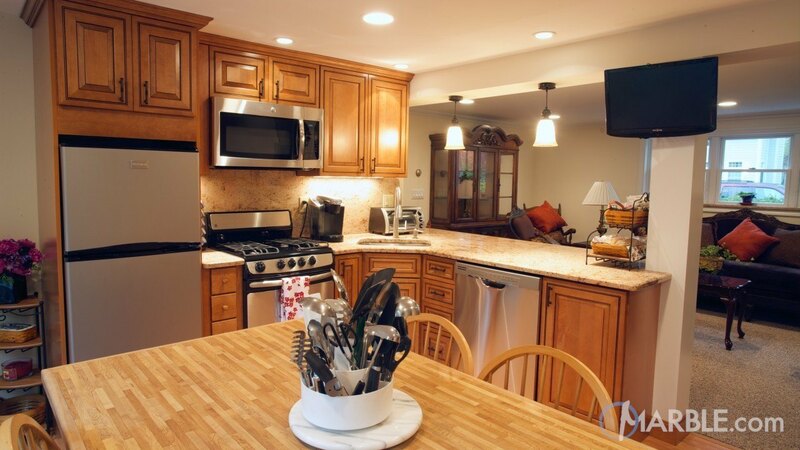 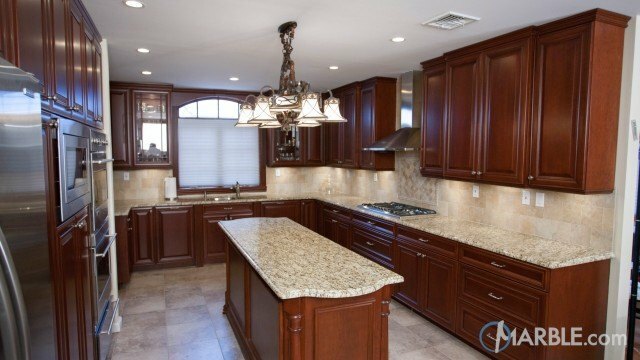 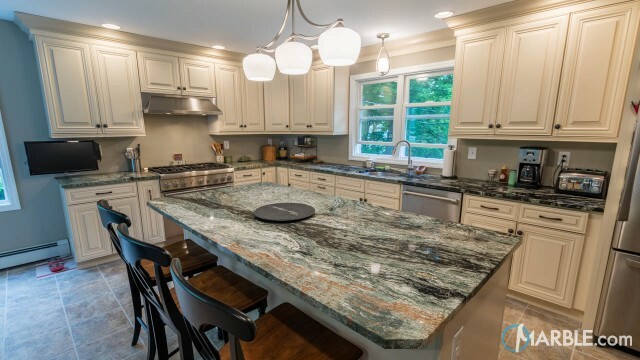 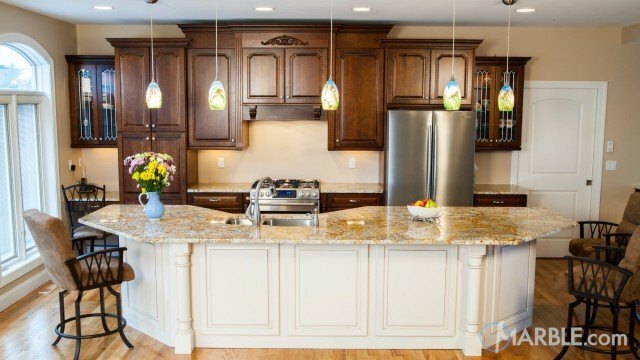 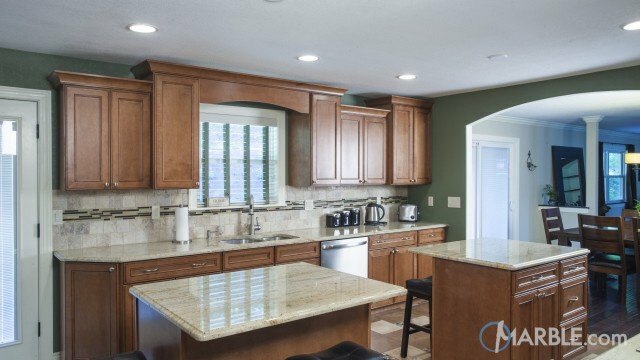 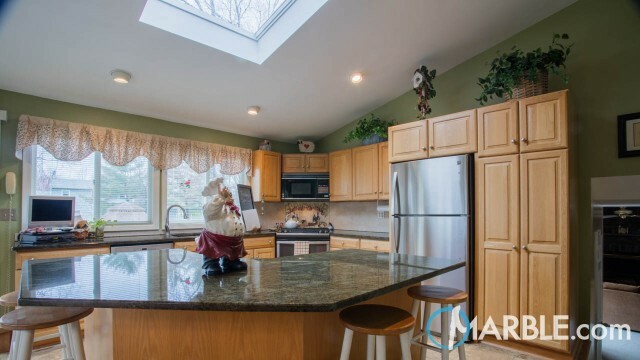 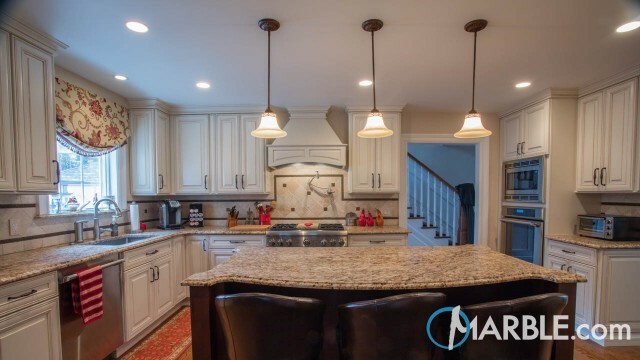 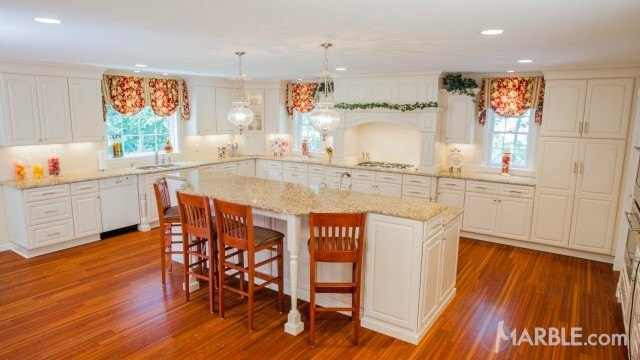 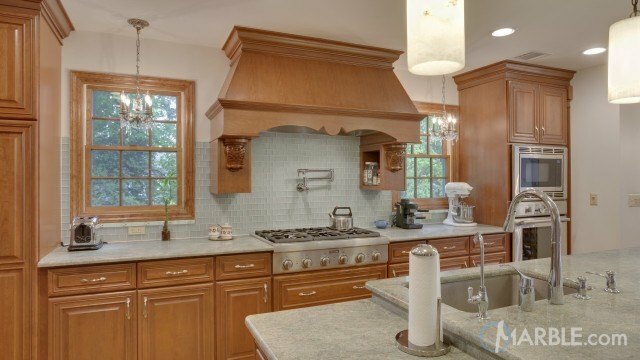 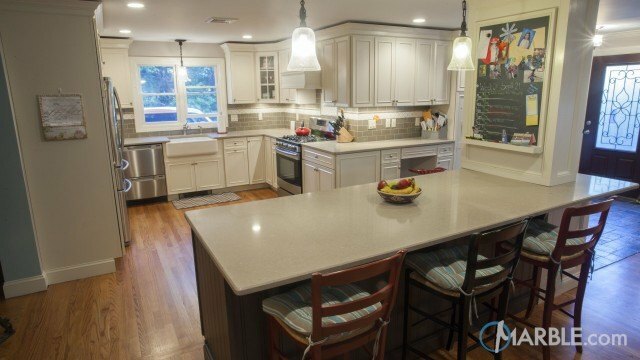 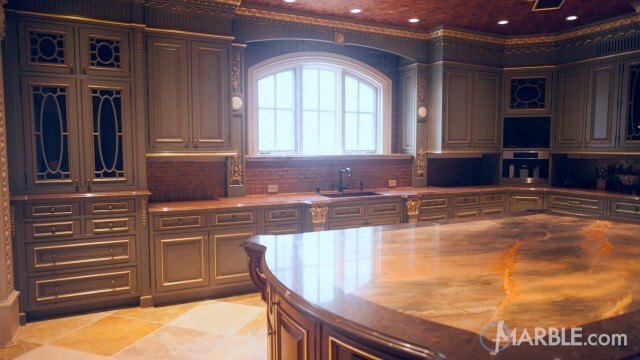 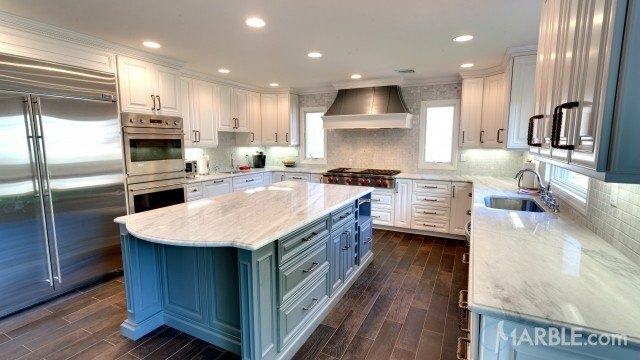 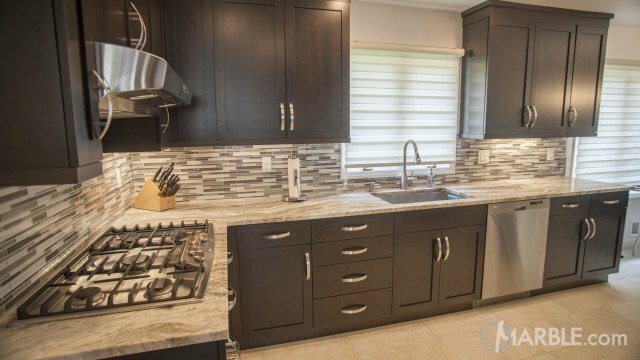 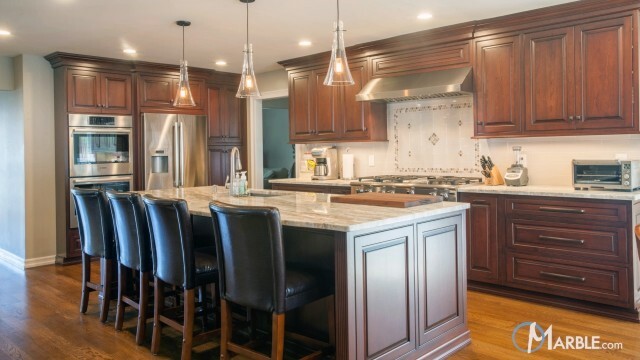 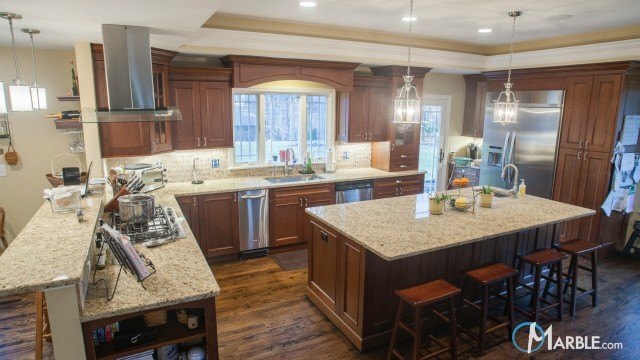 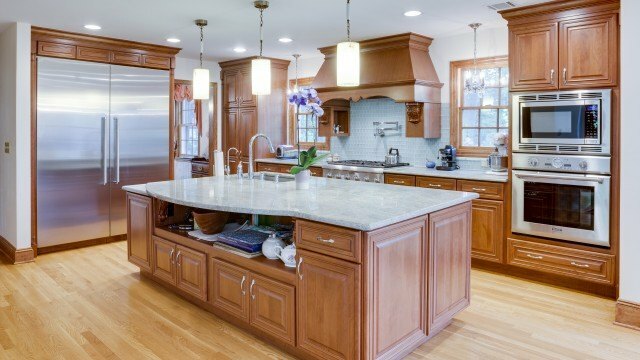 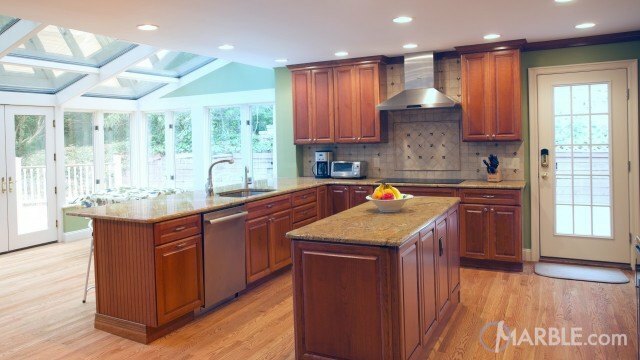 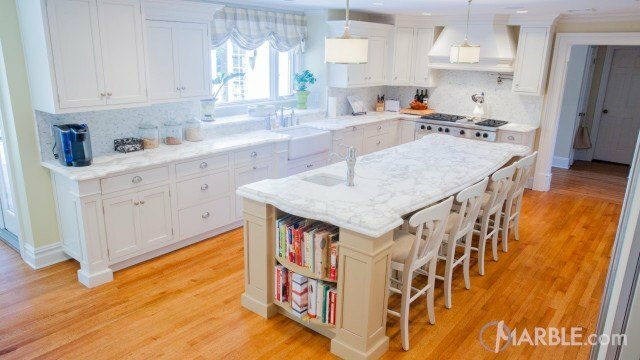 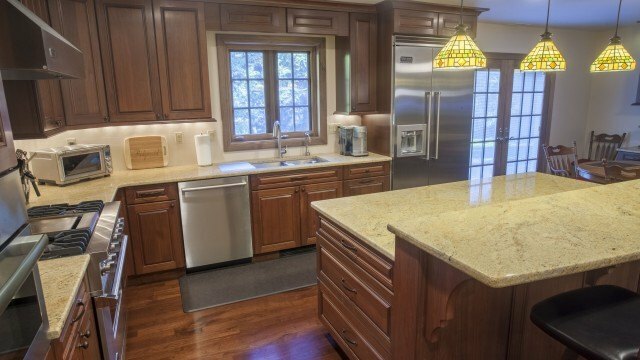 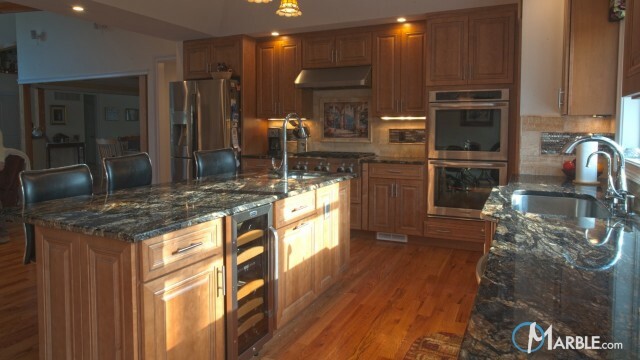 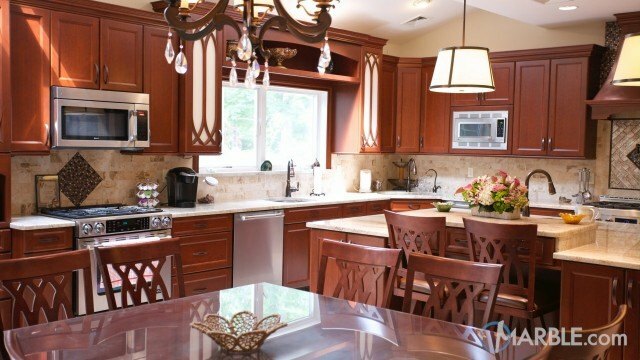 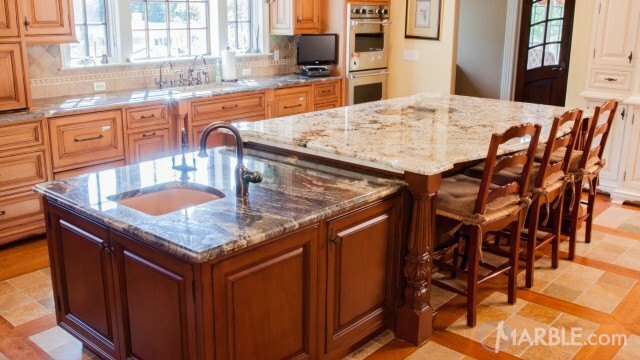 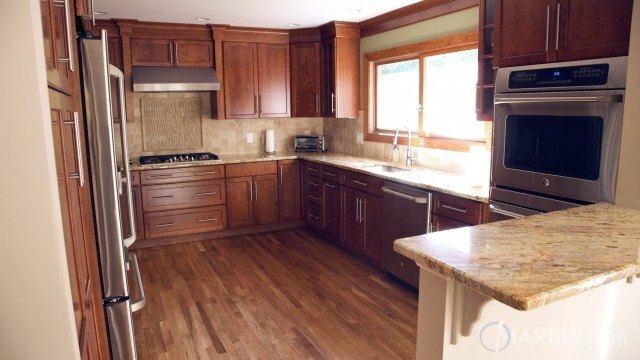 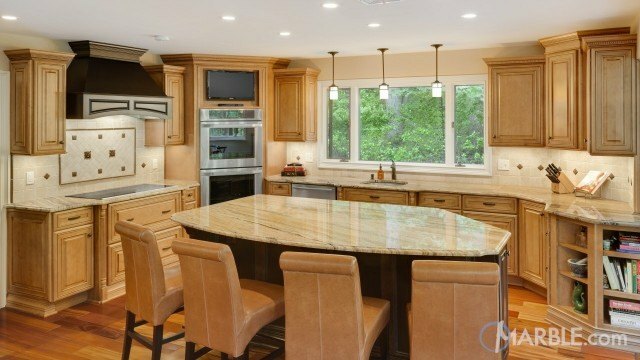 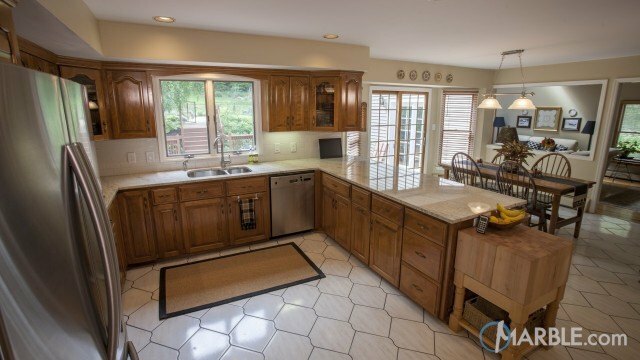 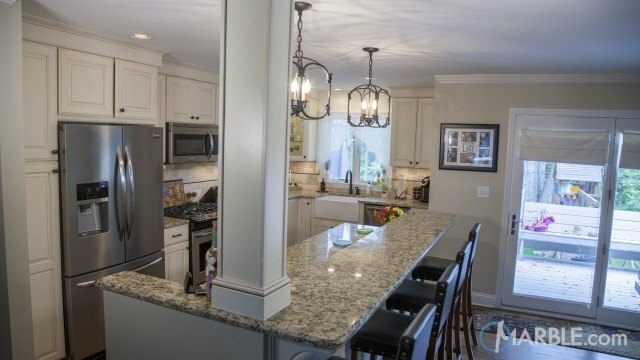 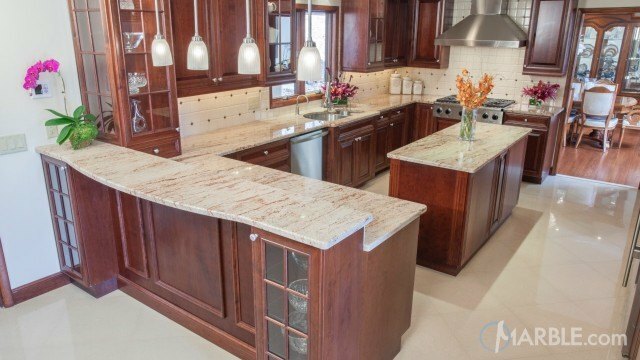 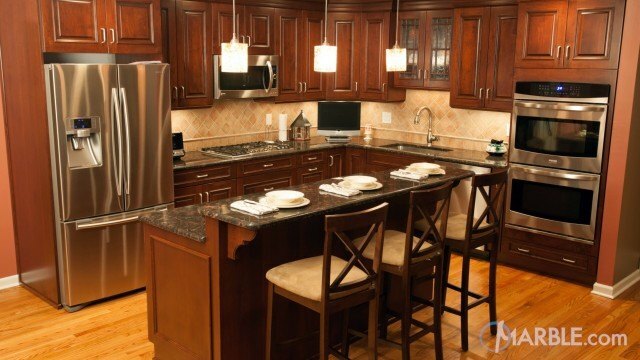 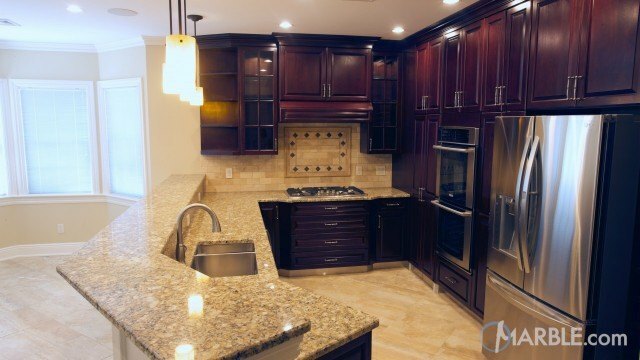 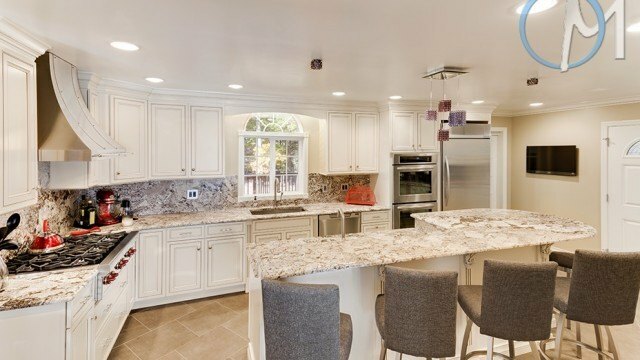 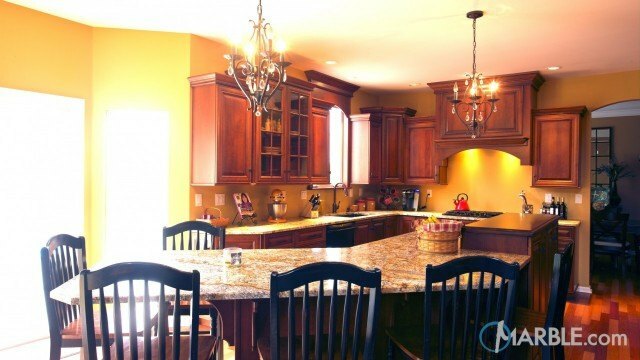 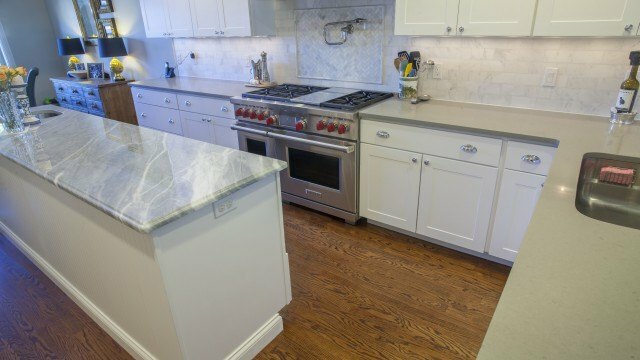 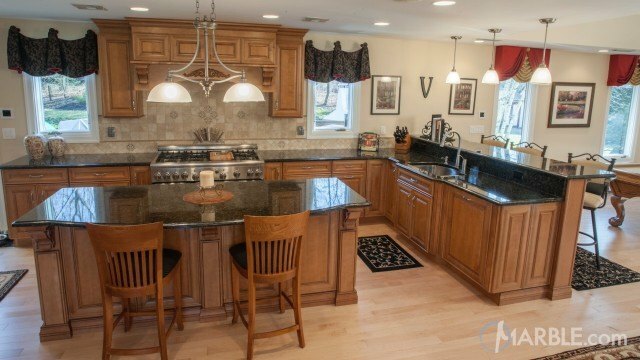 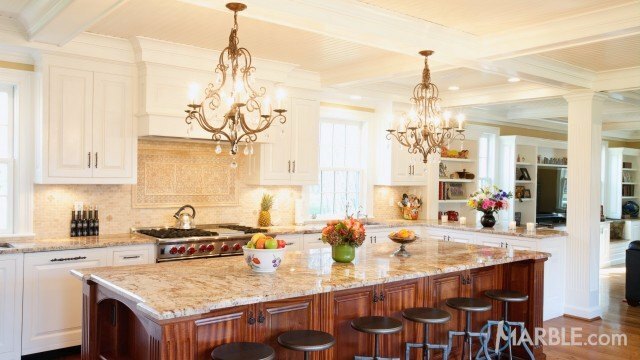 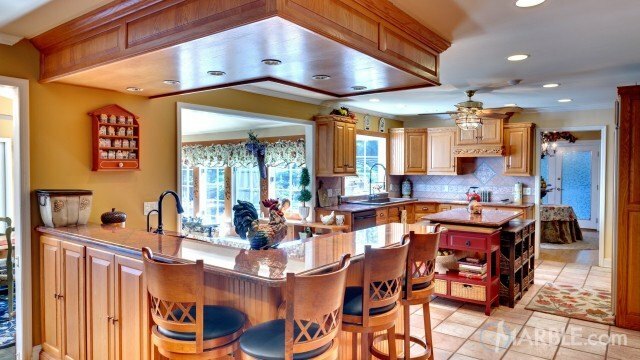 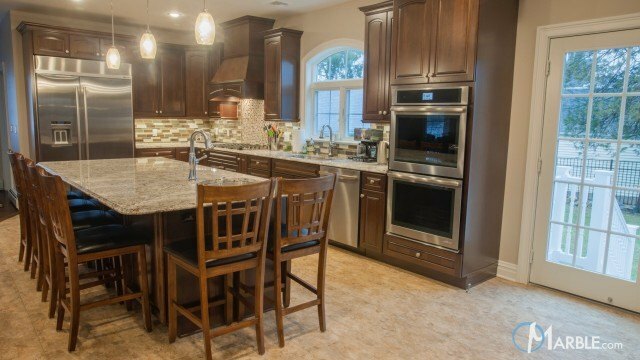 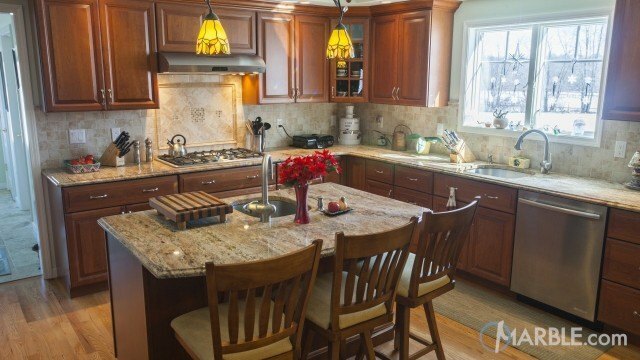 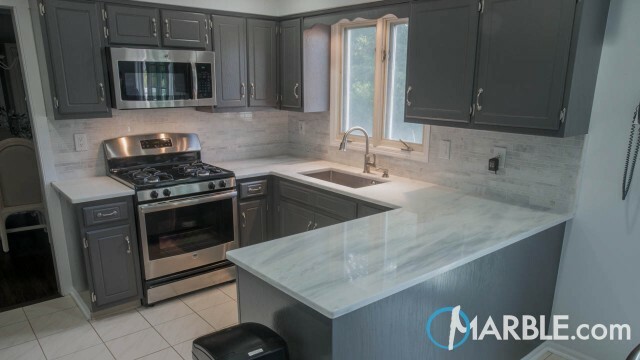 This traditional kitchen with oak wooden cabinets and a “butcher’s block” island is beautifully complimented by veiny brown Astoria granite counter tops with a 1/4 Bevel Edge. 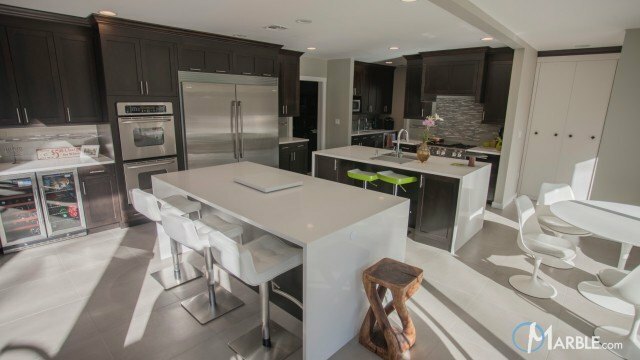 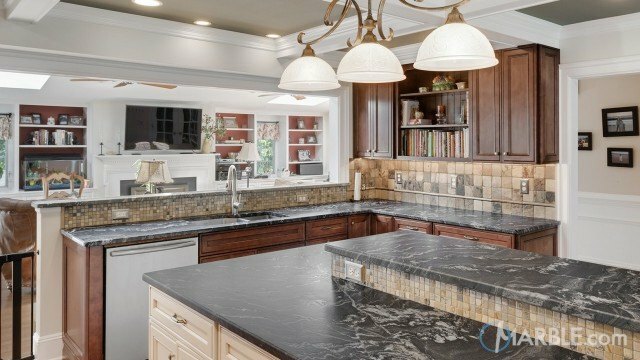 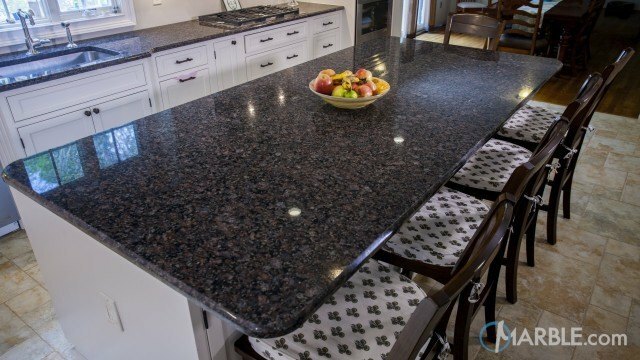 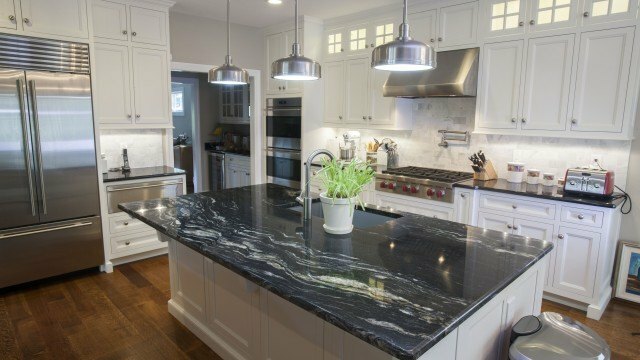 The black specks of the granite play off the black handles of the cabinets and the other black accents throughout the room. 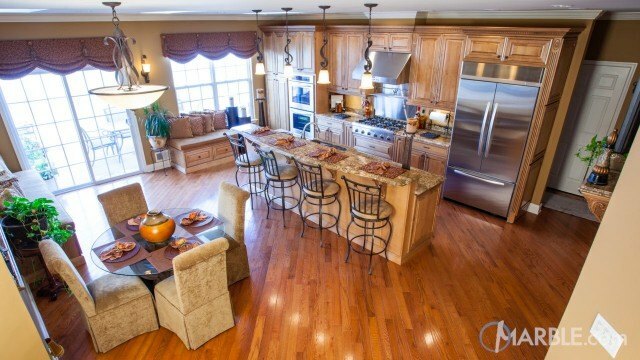 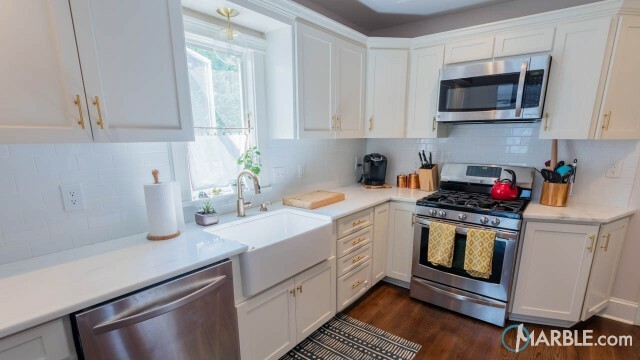 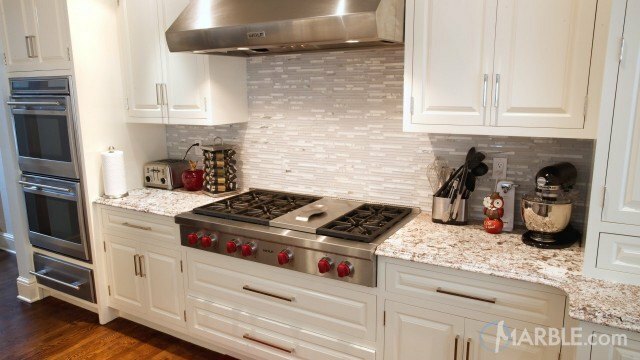 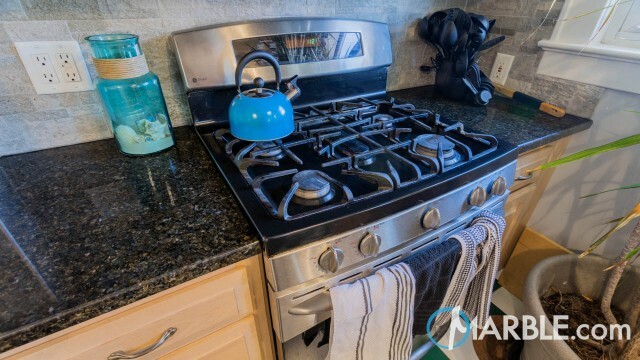 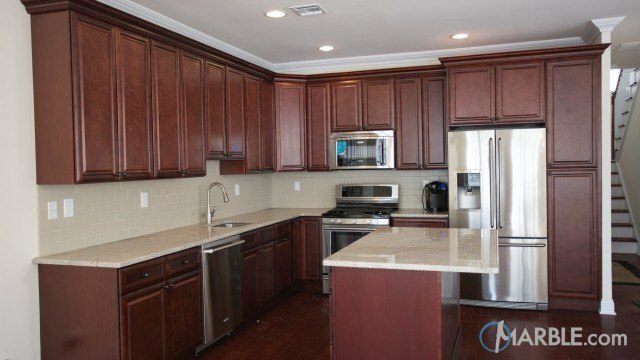 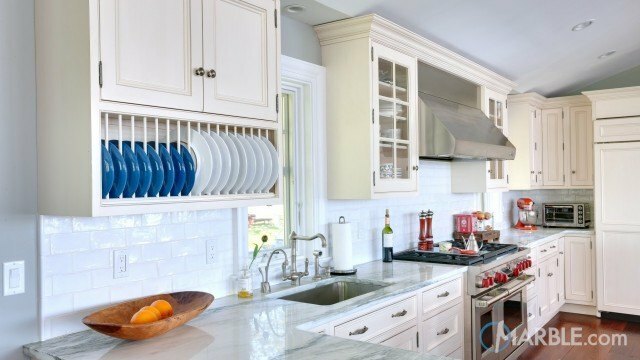 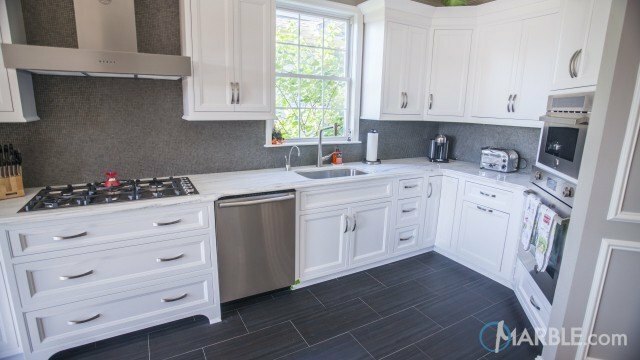 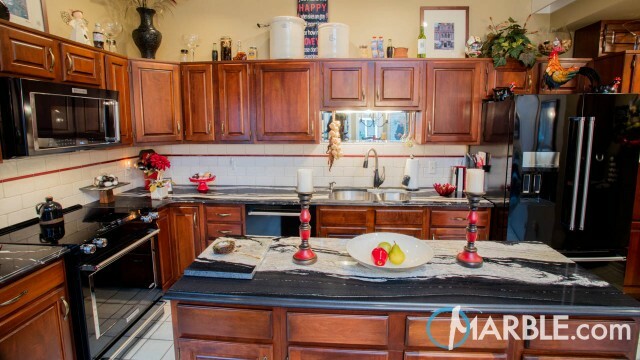 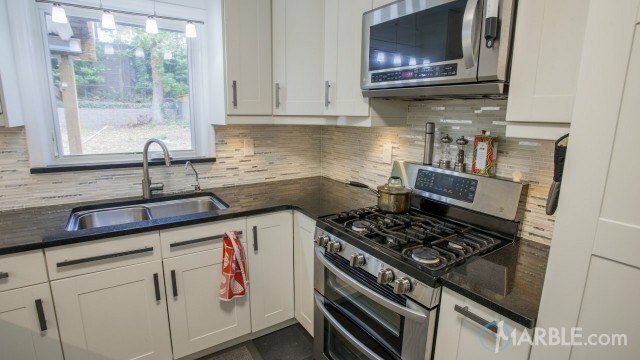 Stainless steel appliances complete this classic kitchen look.